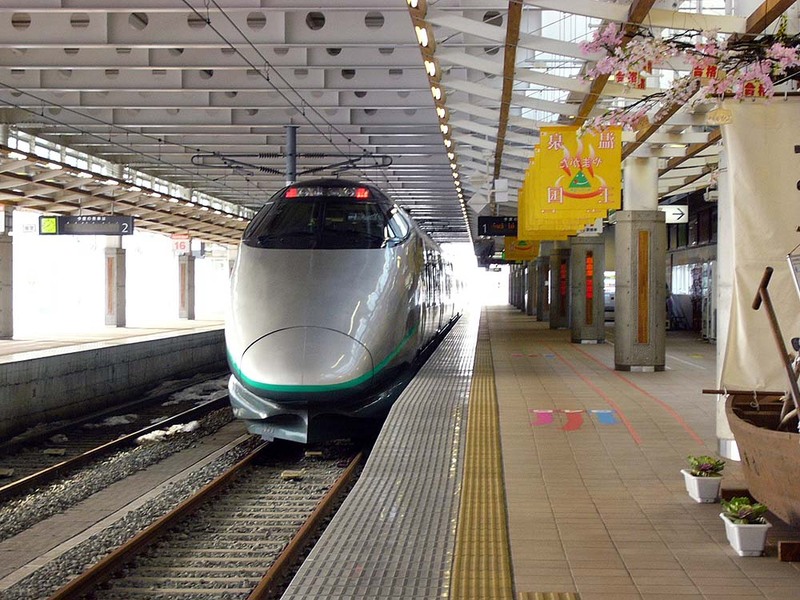 I took Yamagata Shinkansen from Fukushima Station, headed to Shinjo Station via Yamagata city, and arrived at Shinjo Station in the evening. 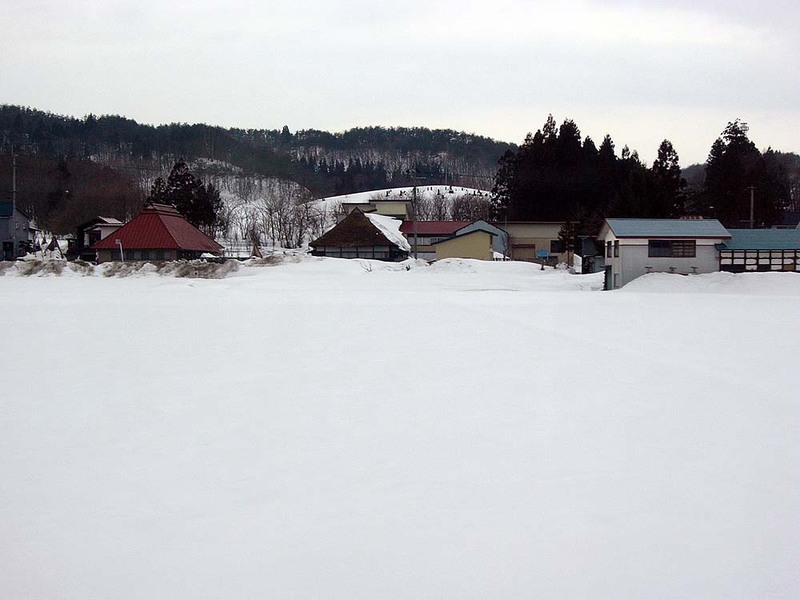 It had much snow. 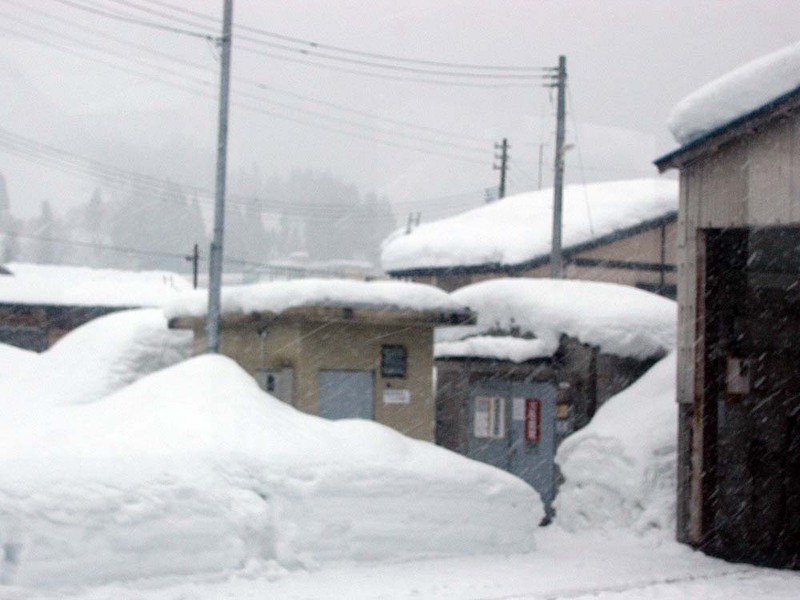 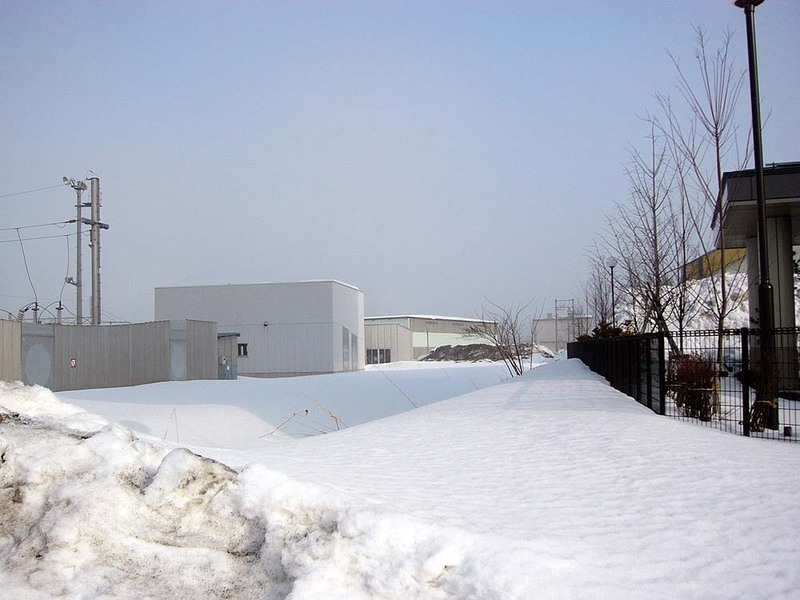 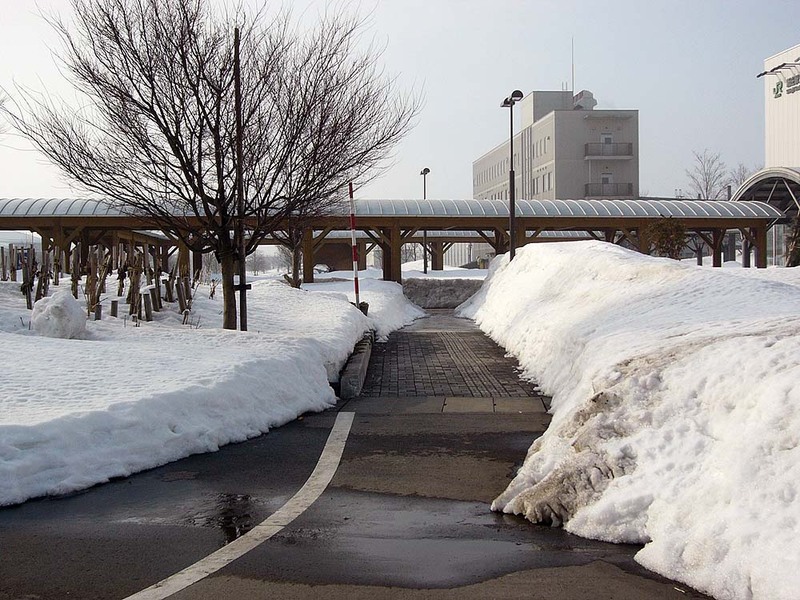 The height of the snow that was piled after shoveling snow was more than one meter. 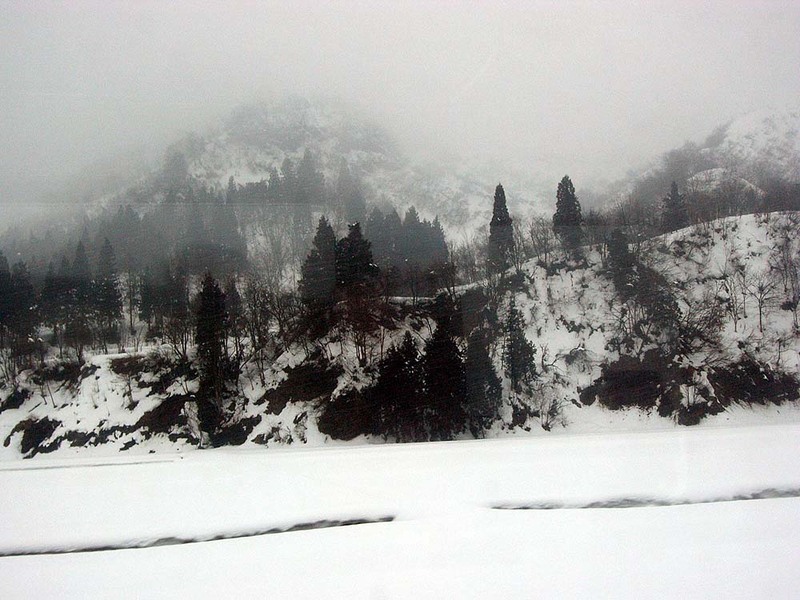 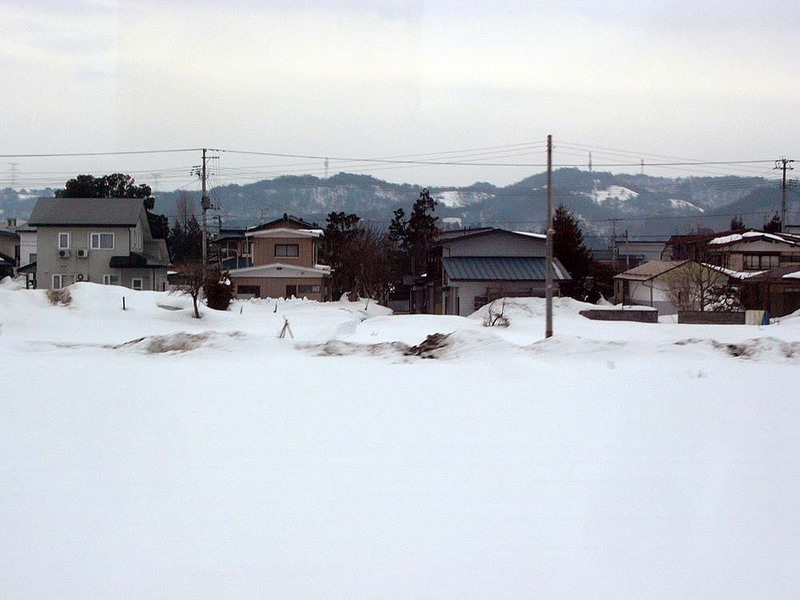 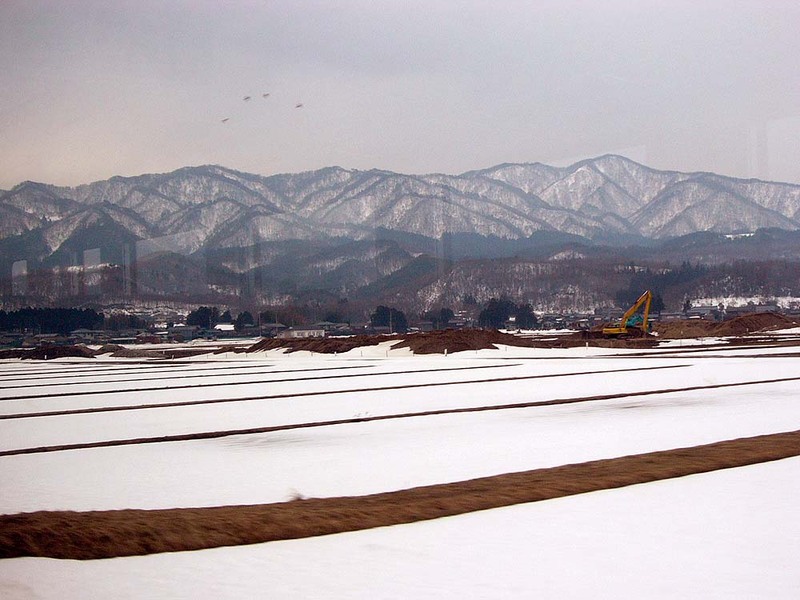 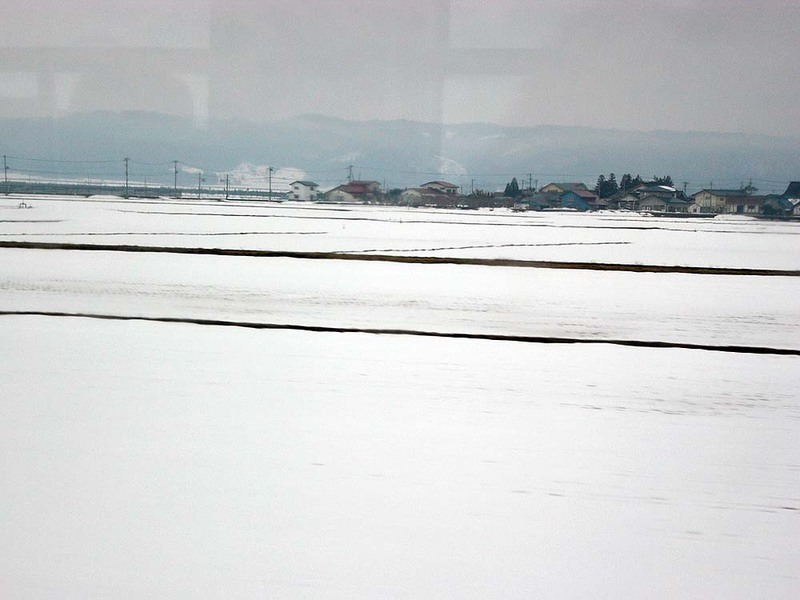 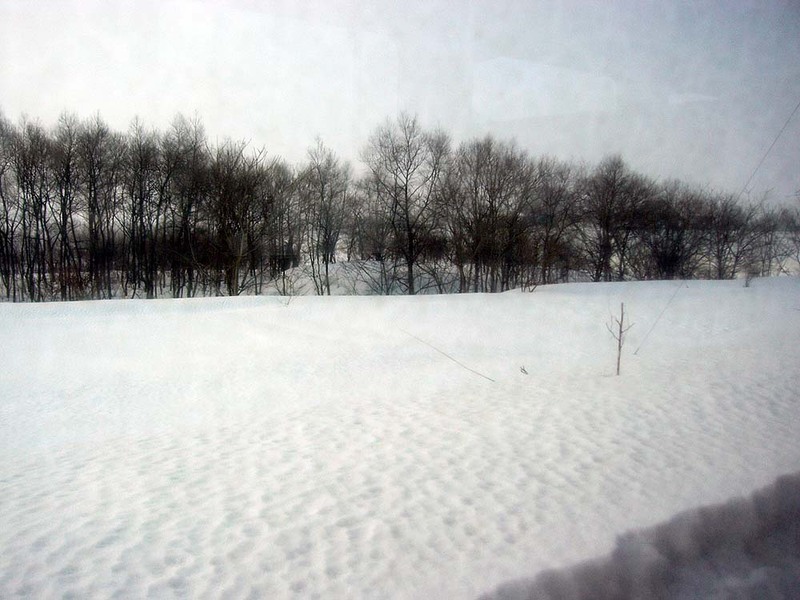 Snow landscape seen from the train. 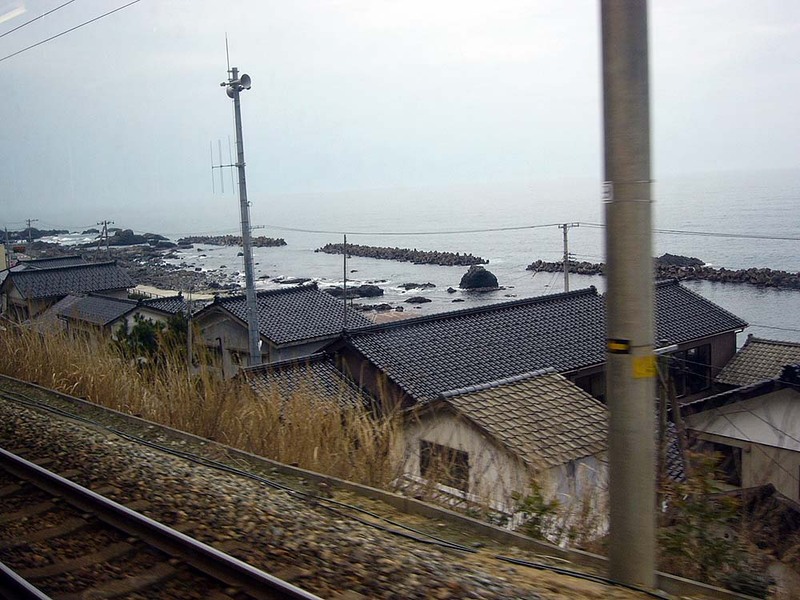 I headed to Amarume Station from Shinjo Station along the side of the Sea of Japan. 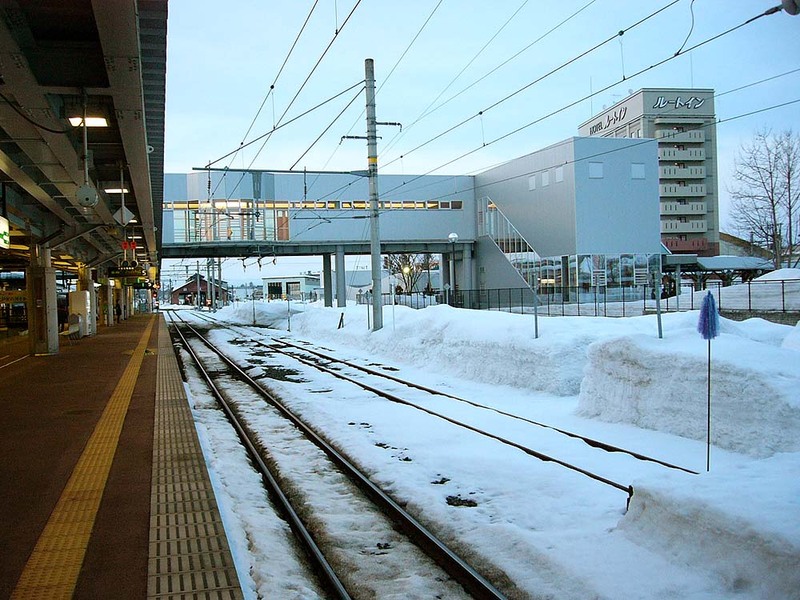 In front of Shinjo Station. 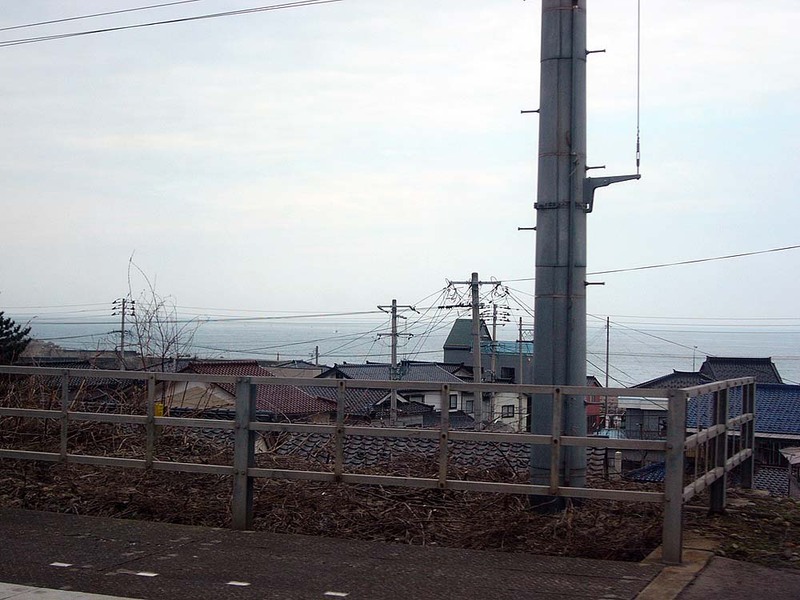 I moved along the Sea of Japan side to Sakamachi Station. 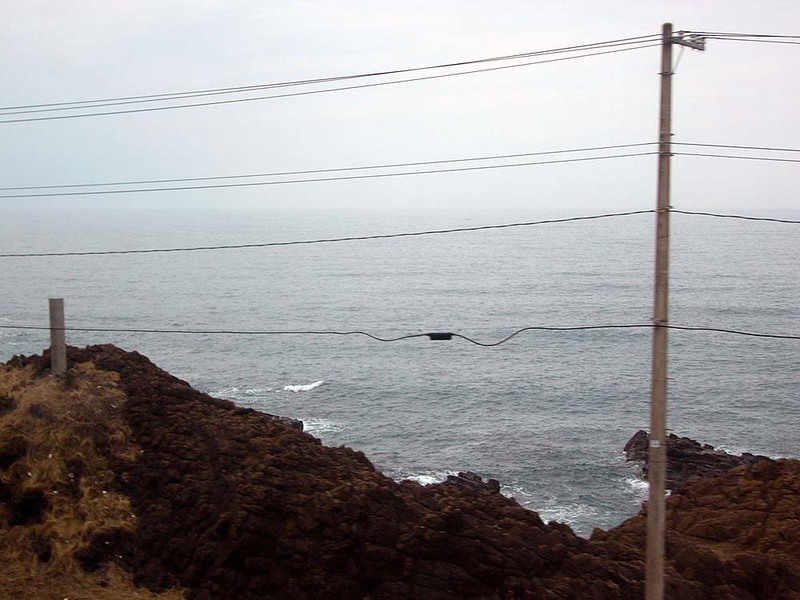 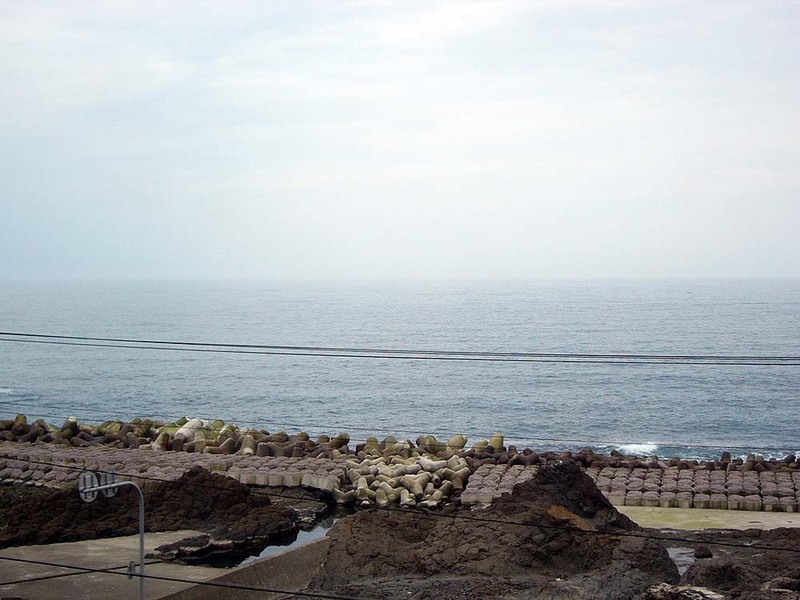 A scenery of the Sea of Japan. 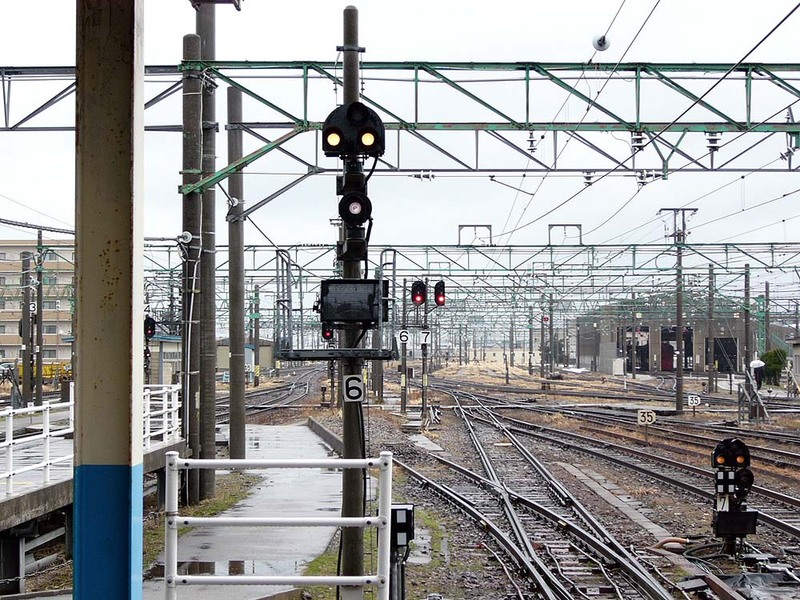 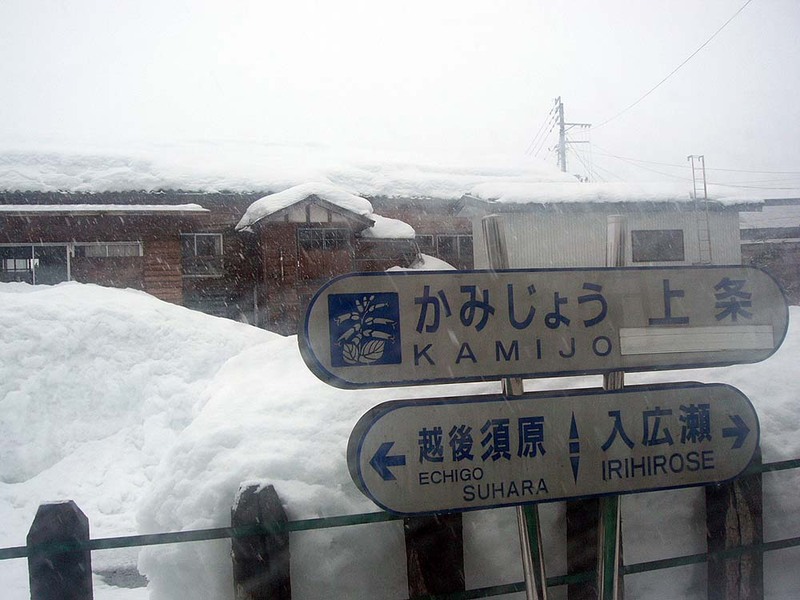 In front of Sakamachi Station. 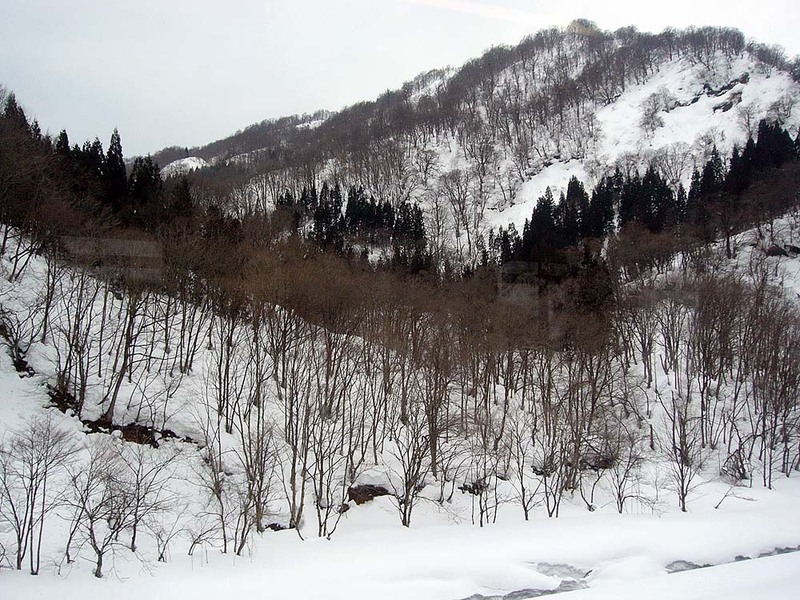 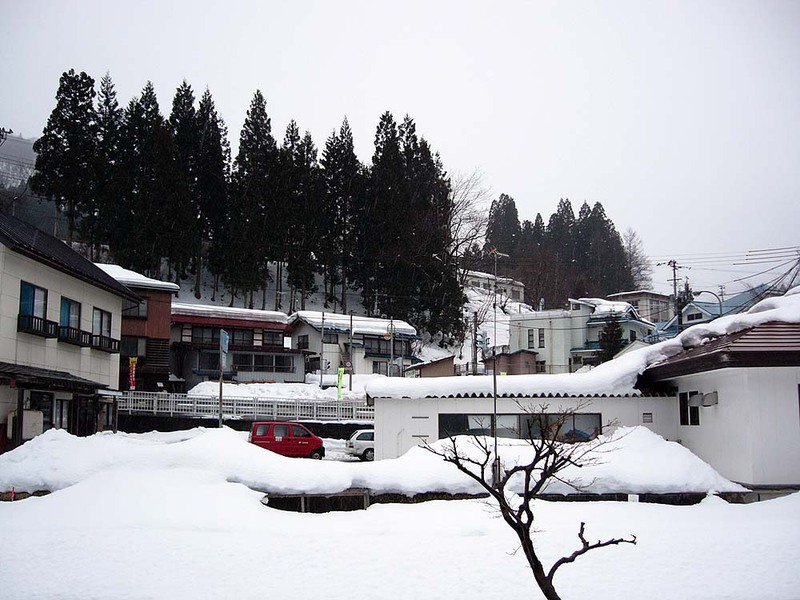 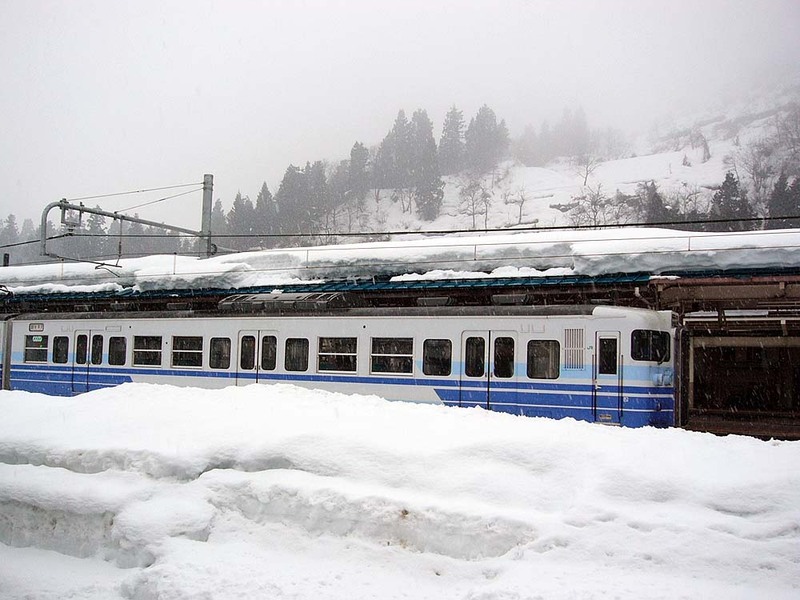 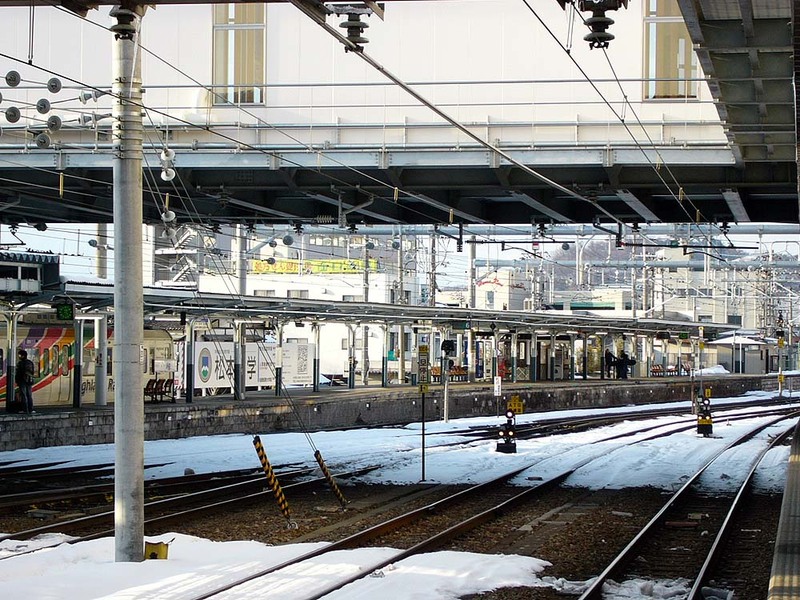 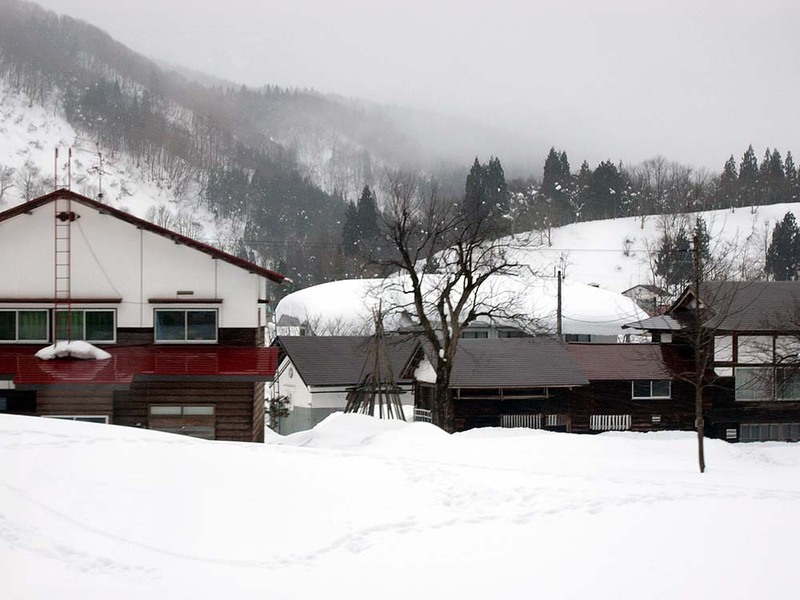 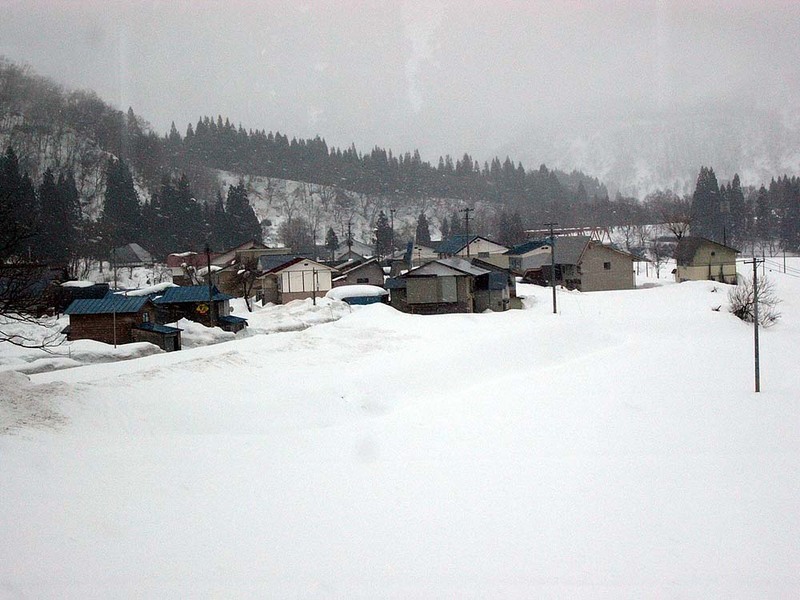 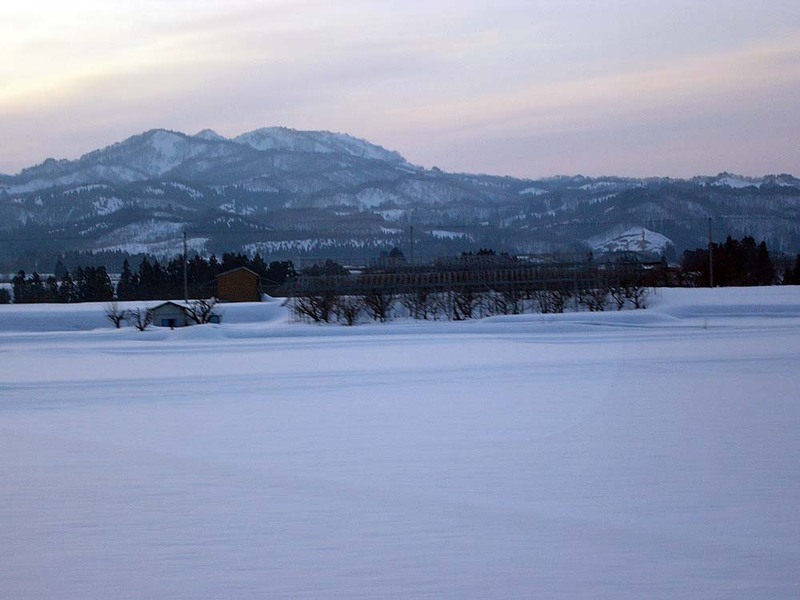 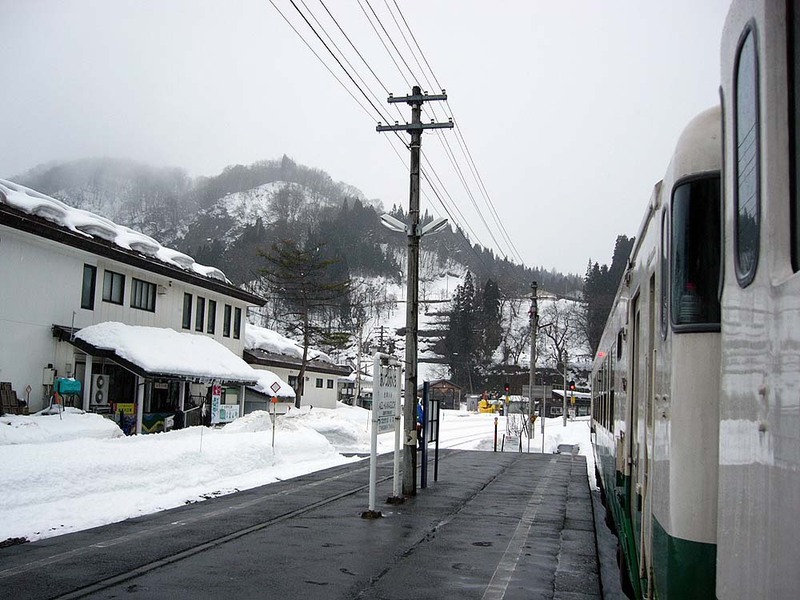 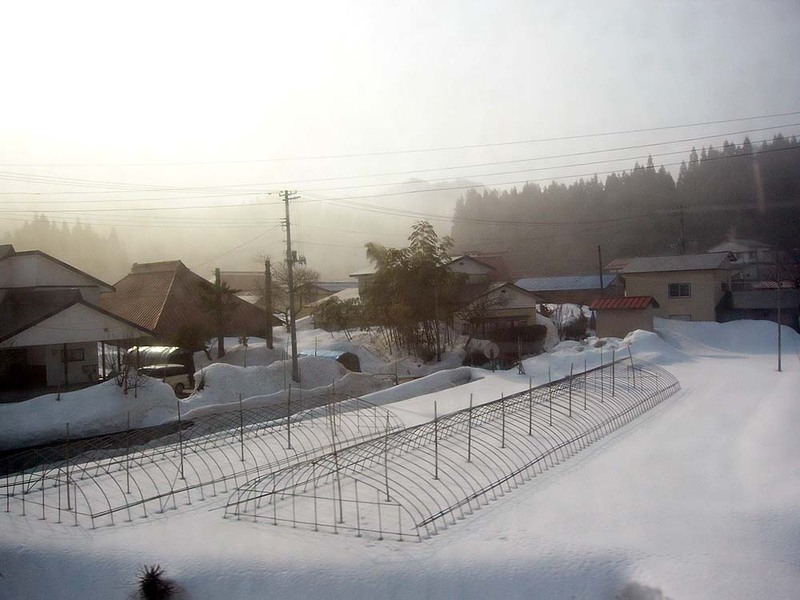 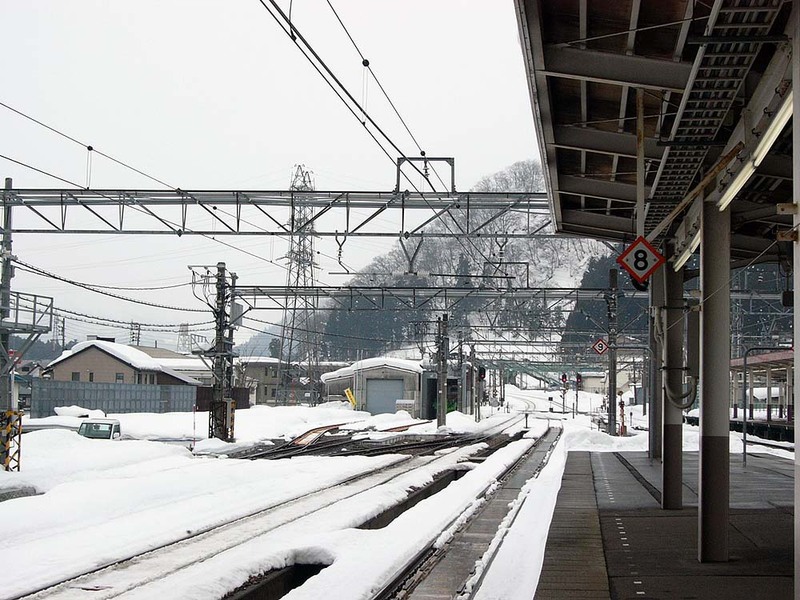 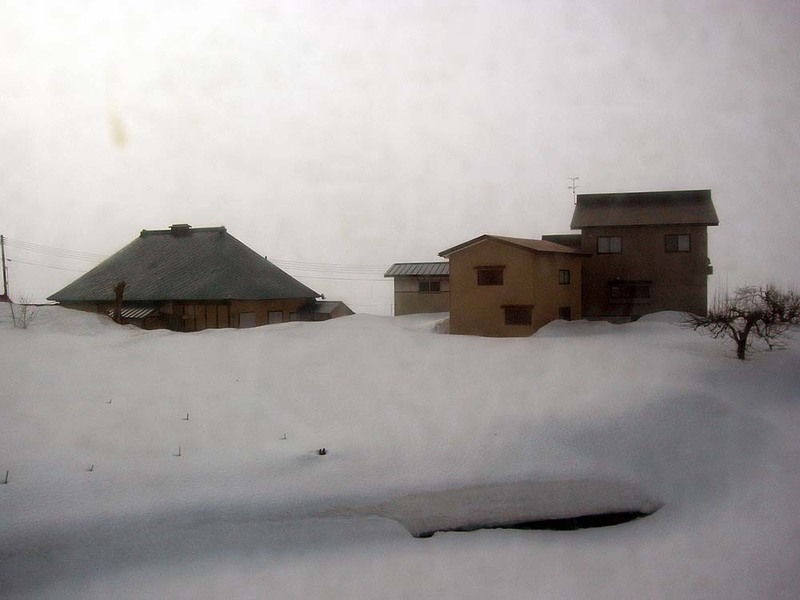 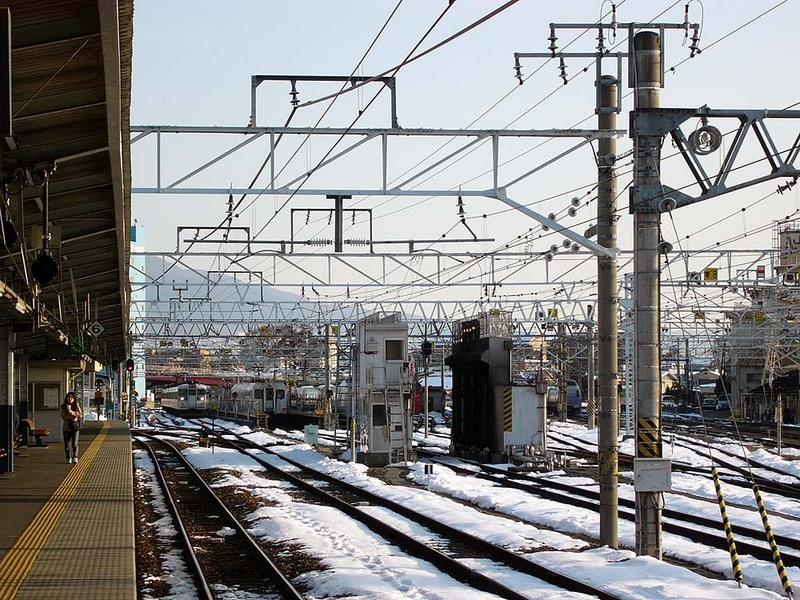 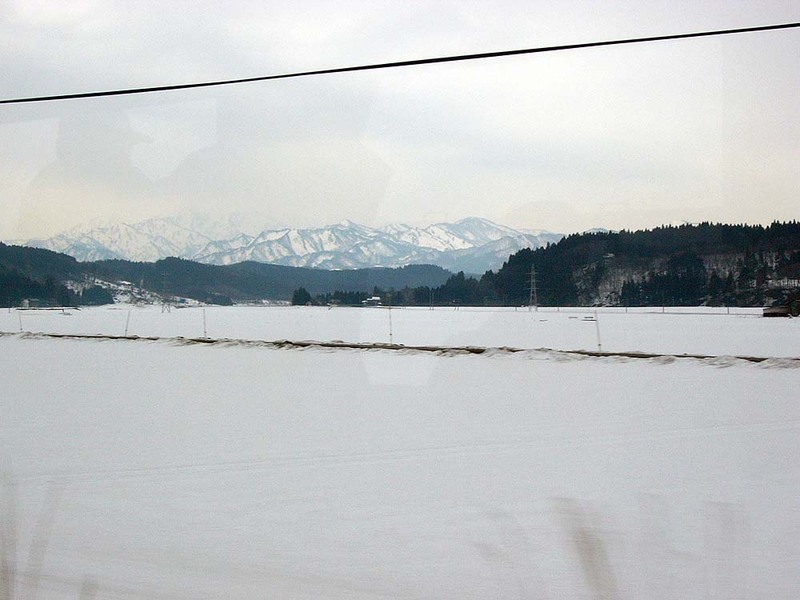 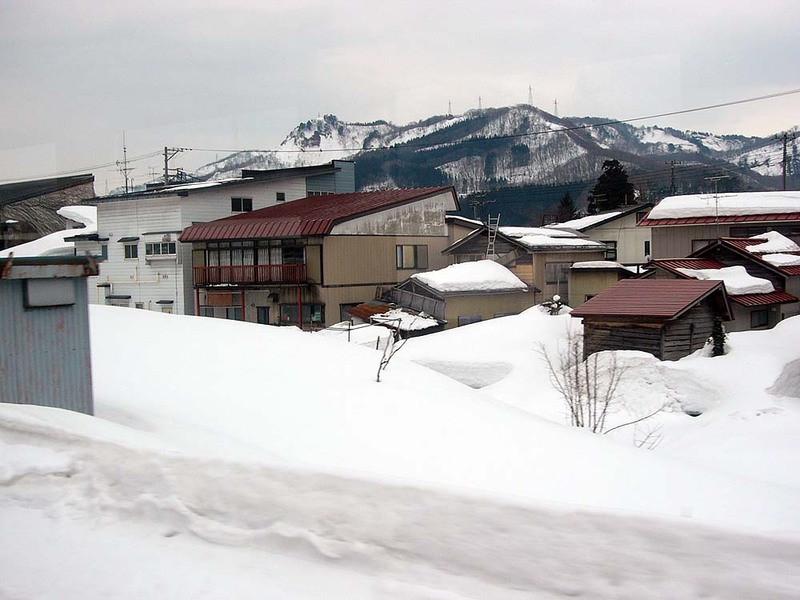 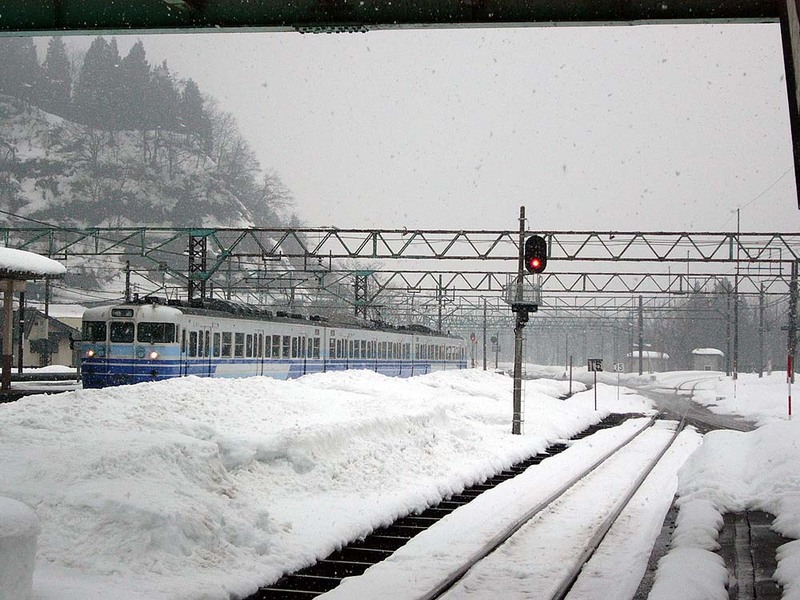 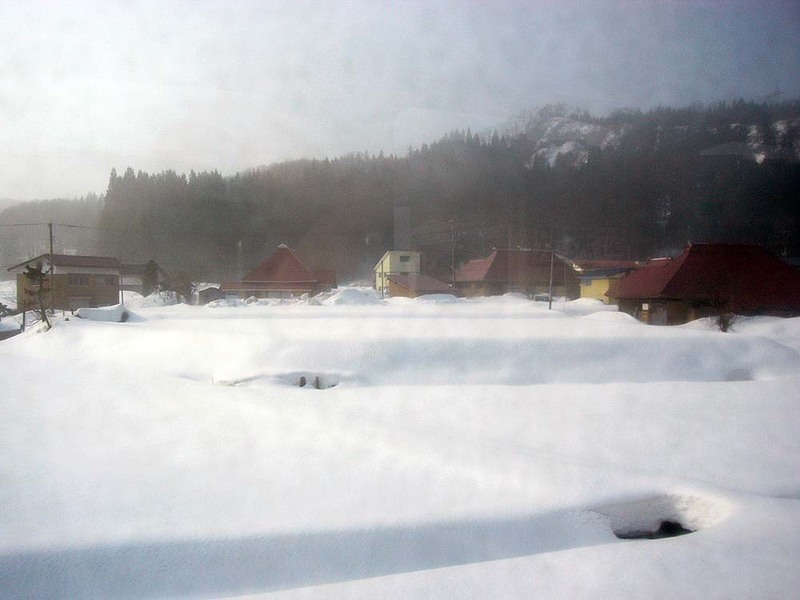 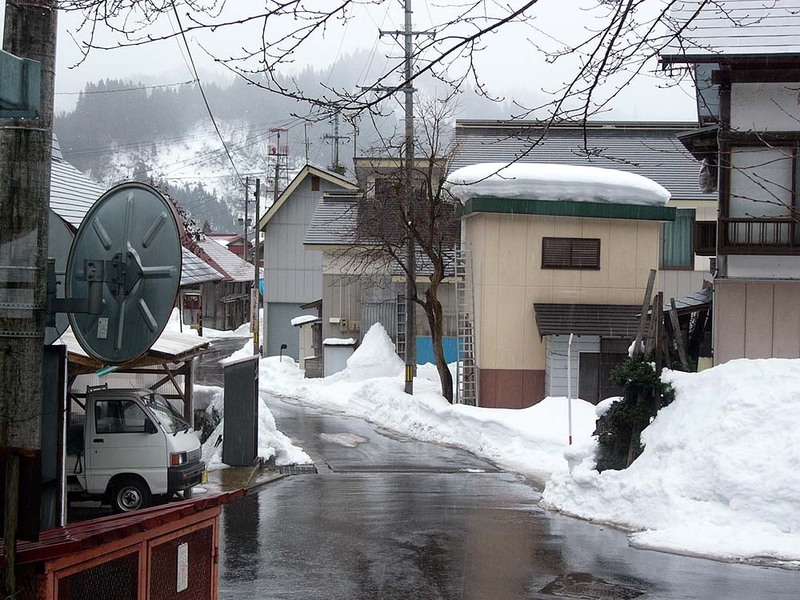 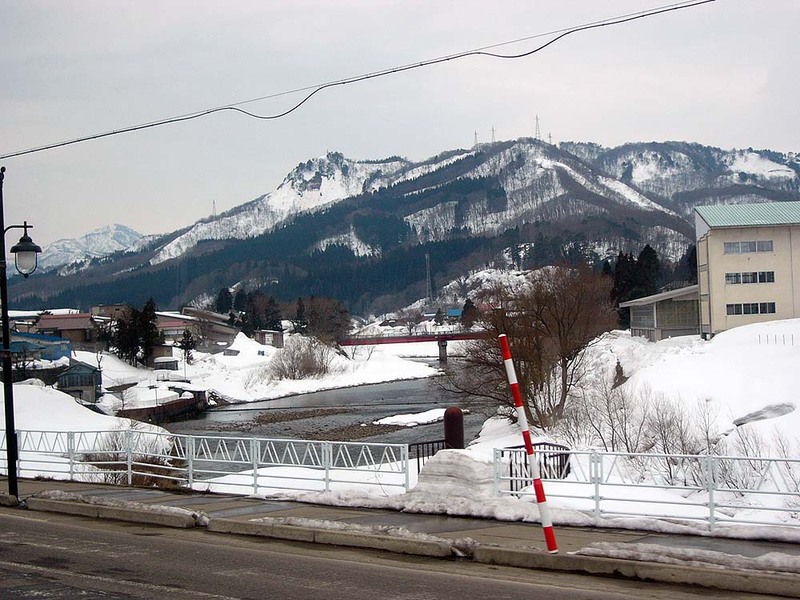 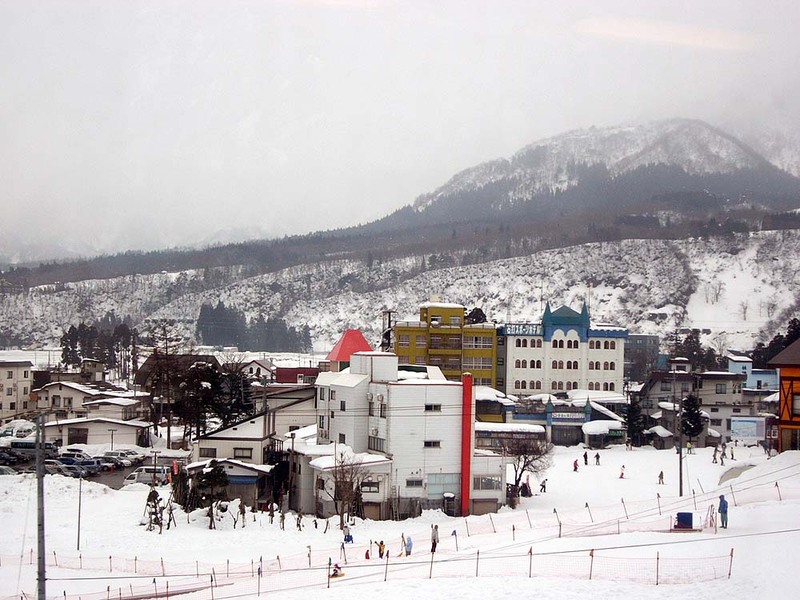 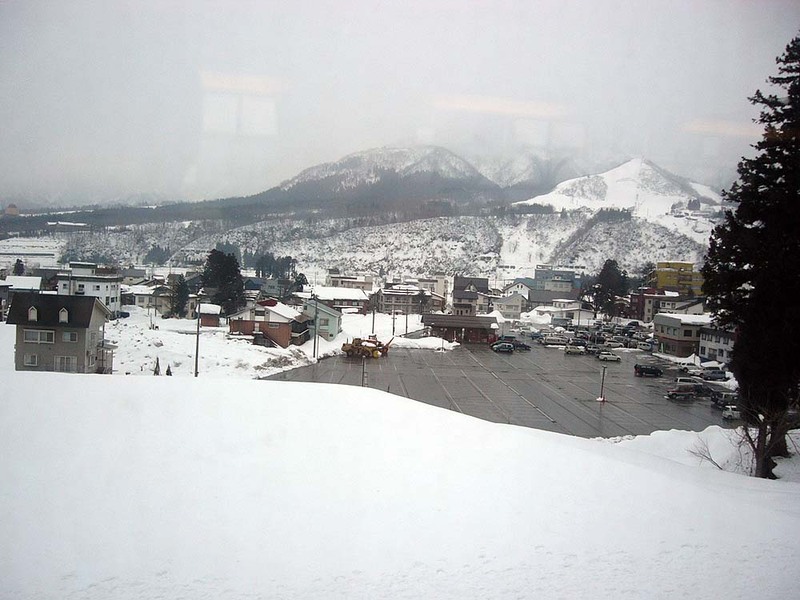 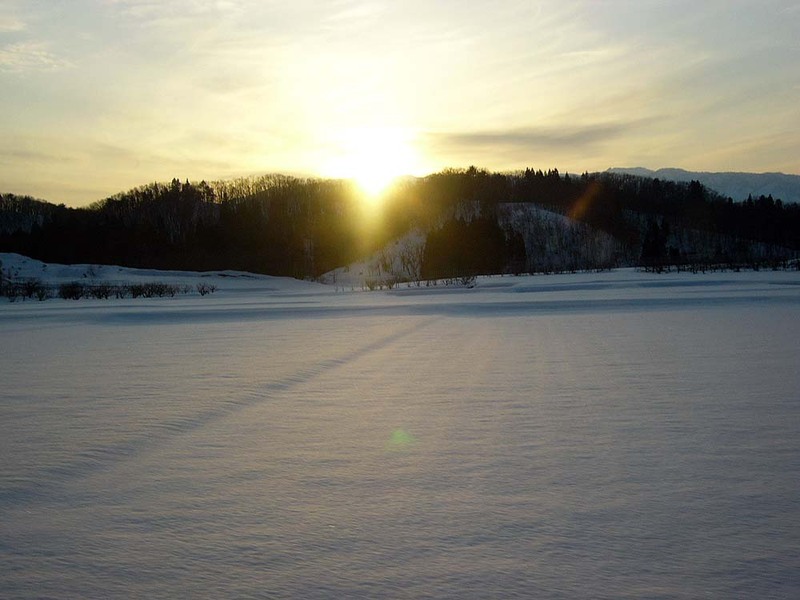 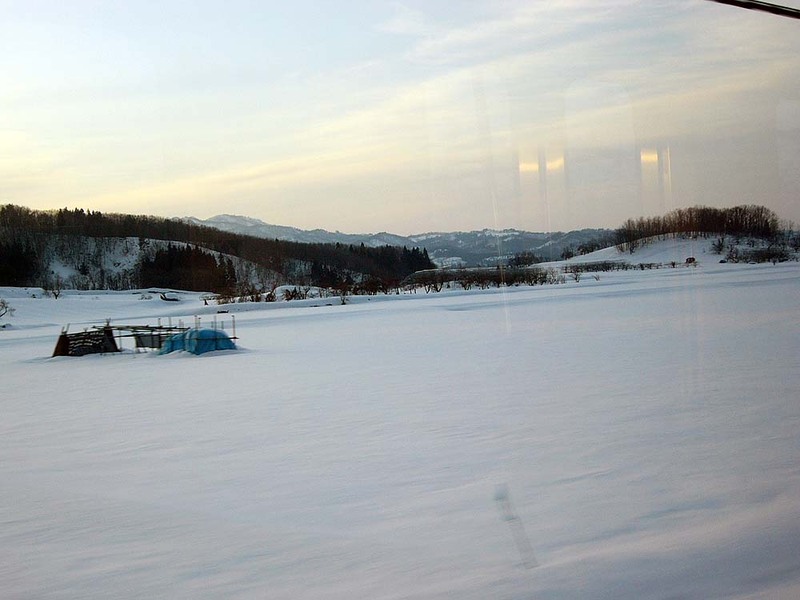 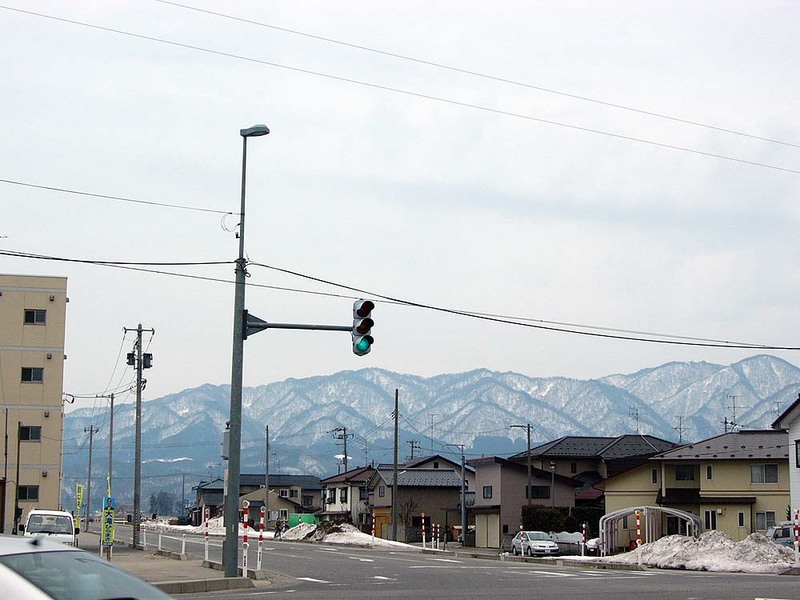 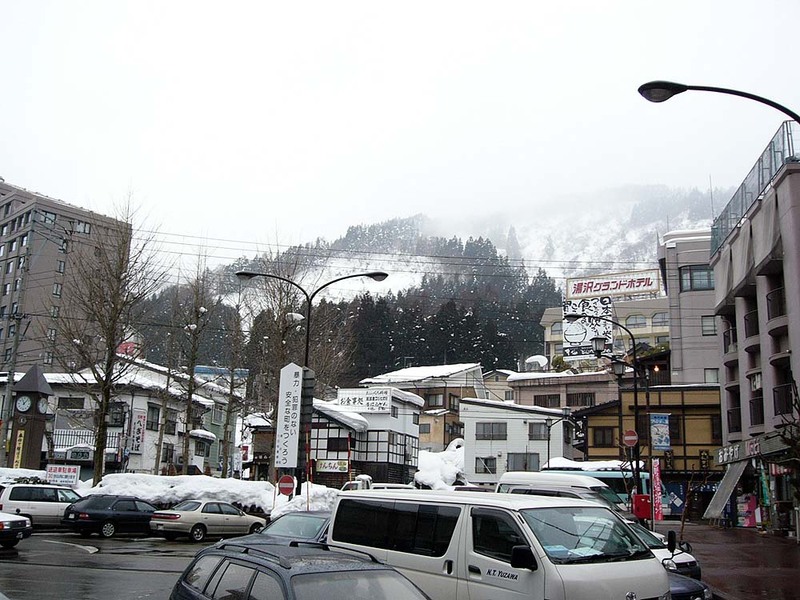 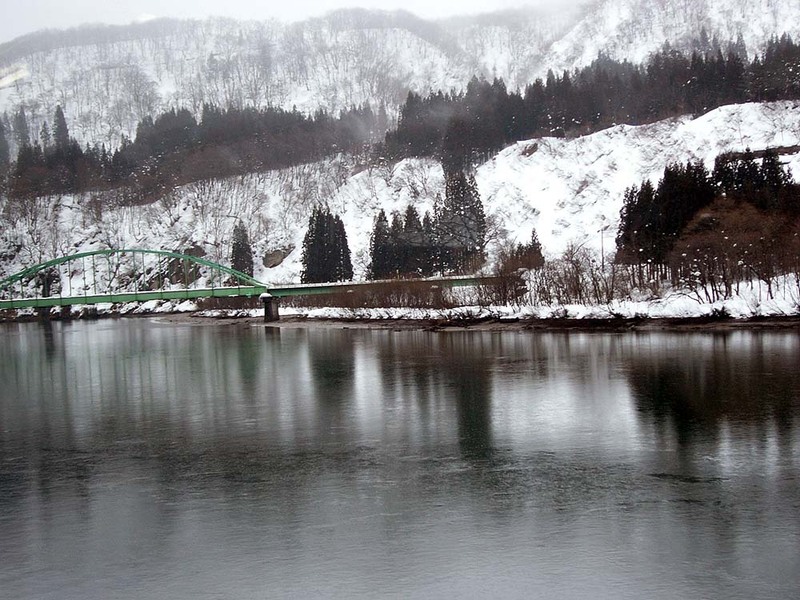 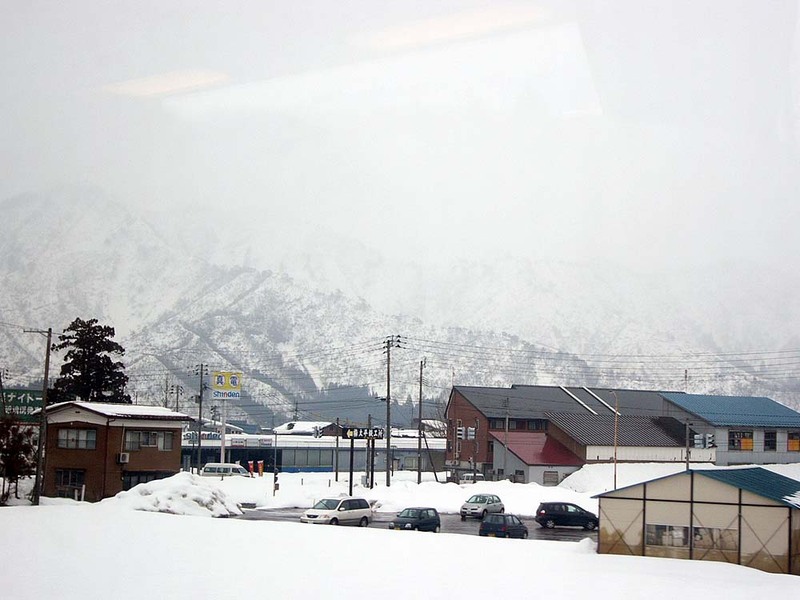 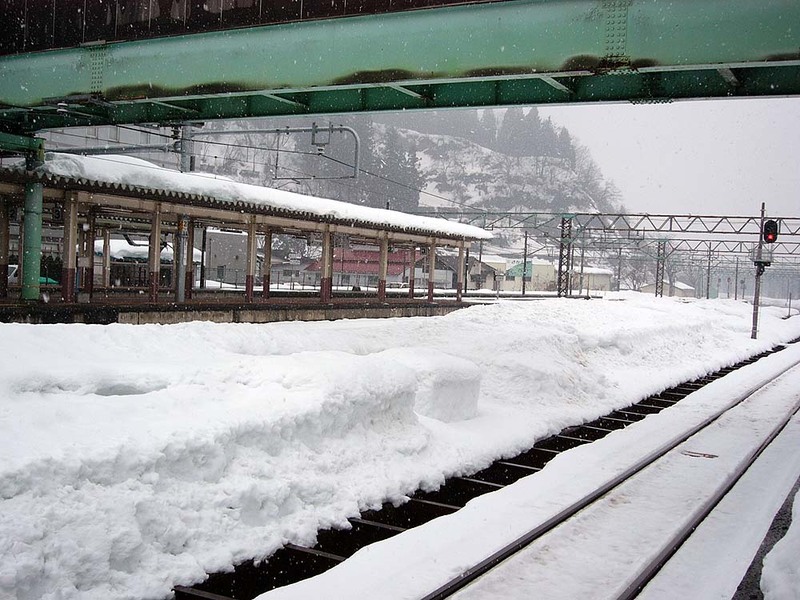 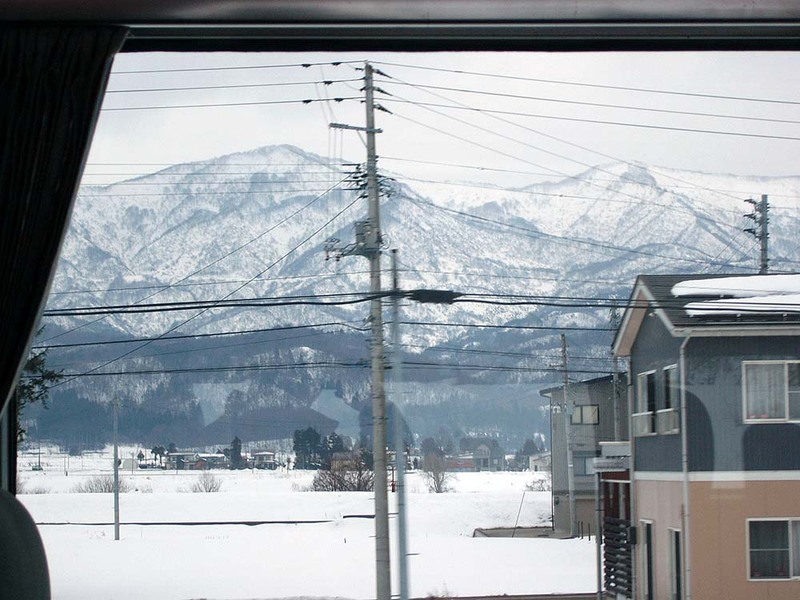 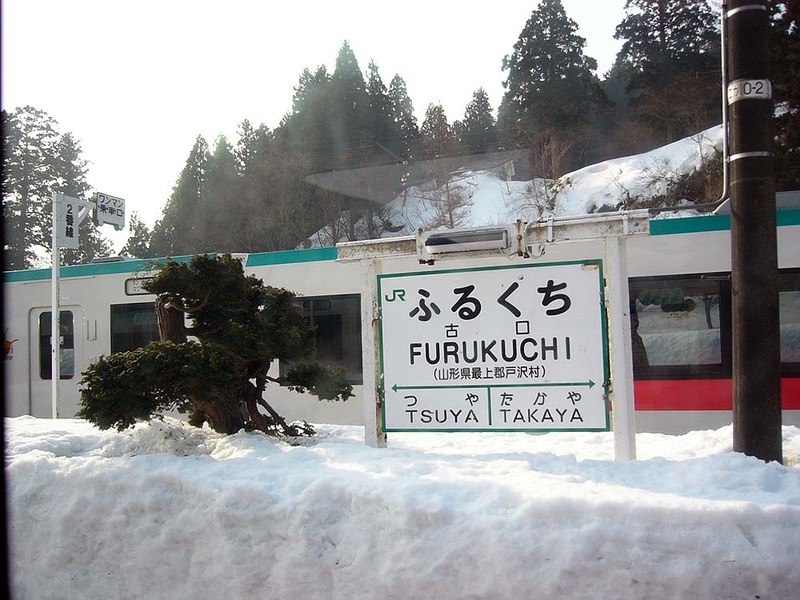 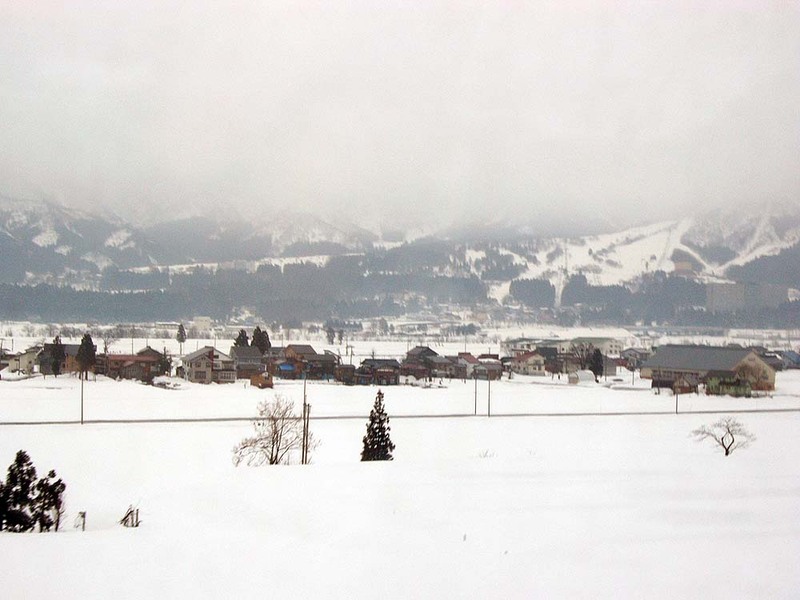 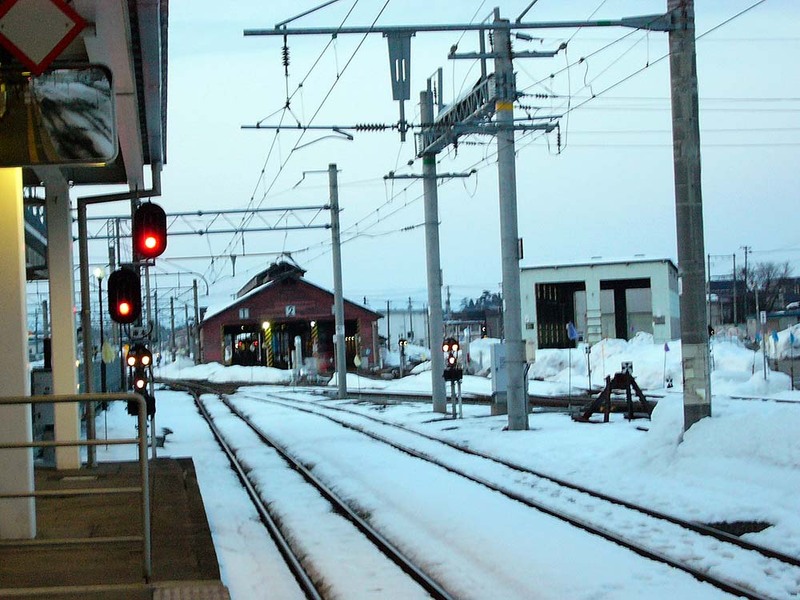 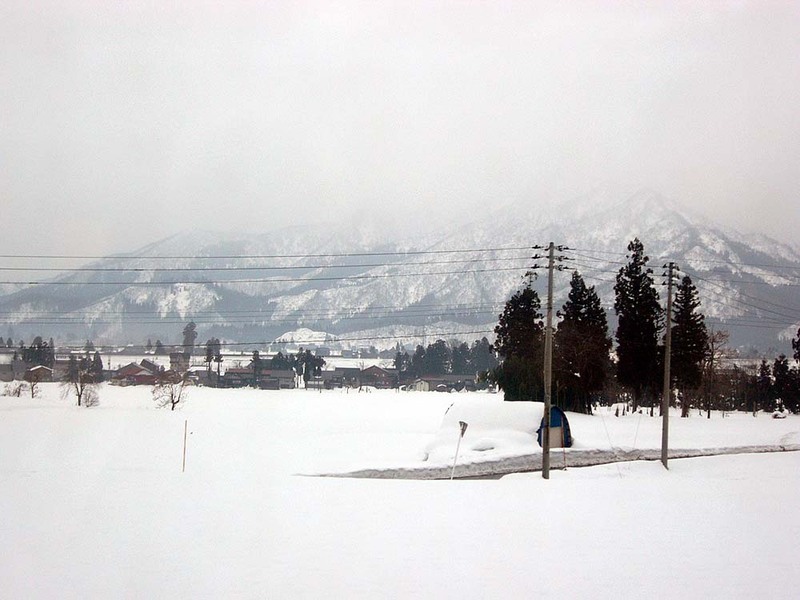 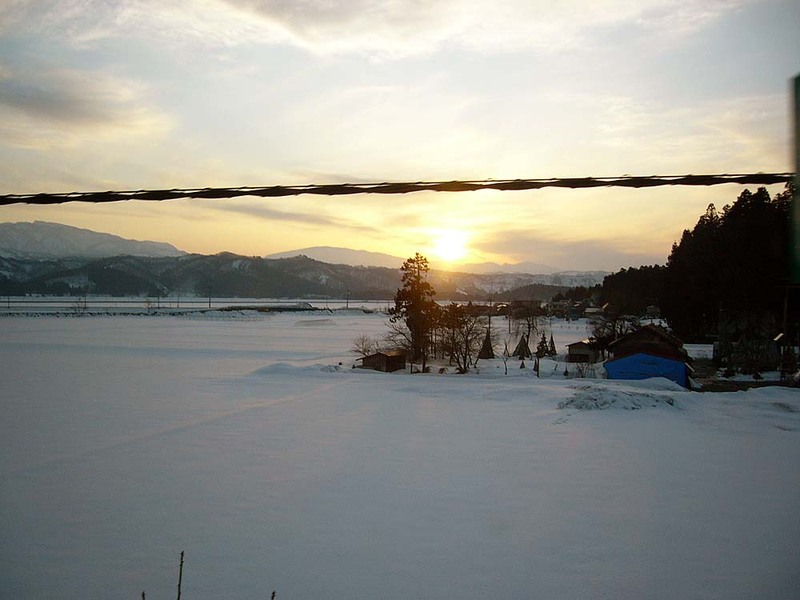 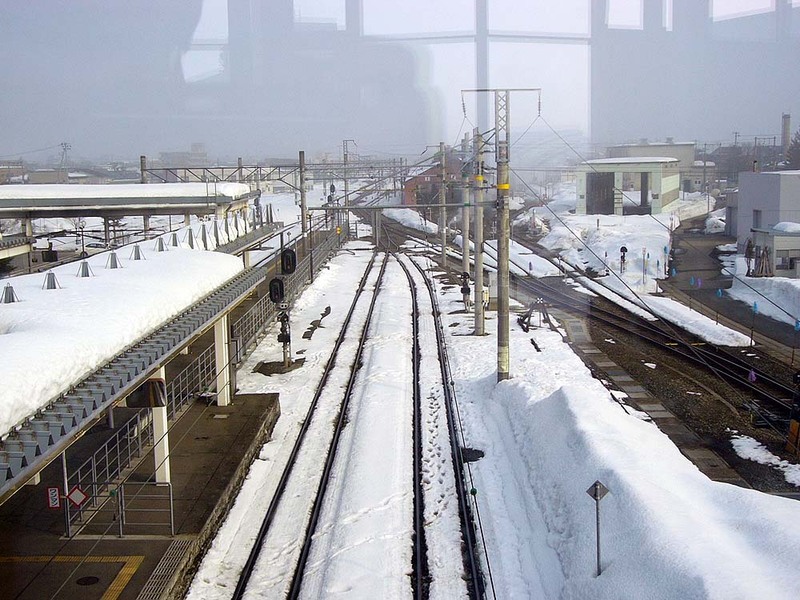 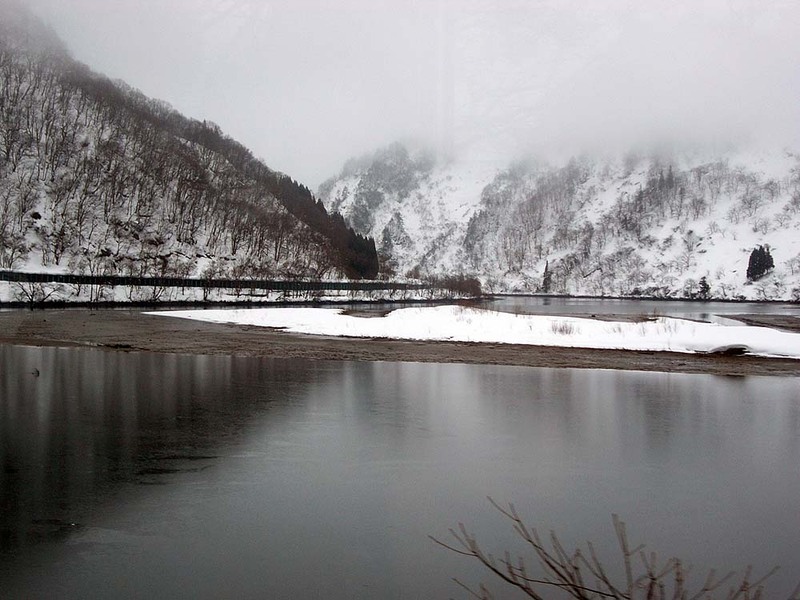 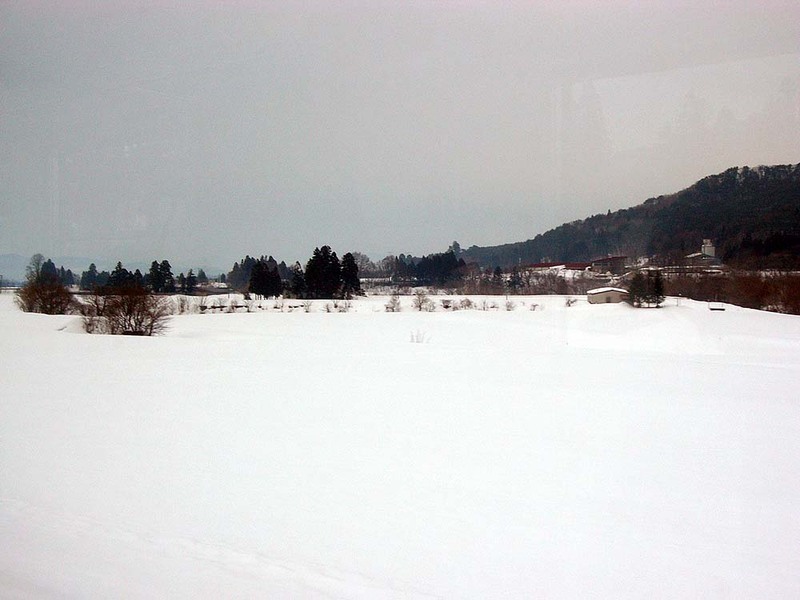 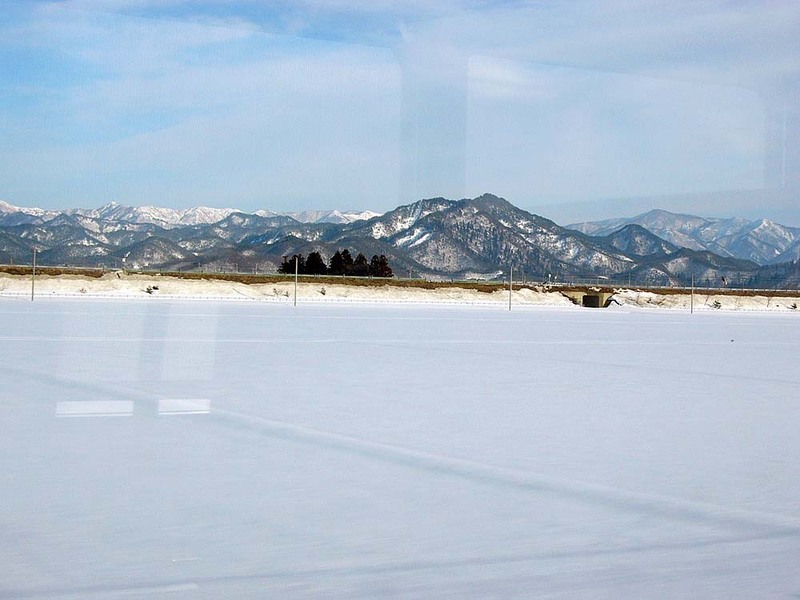 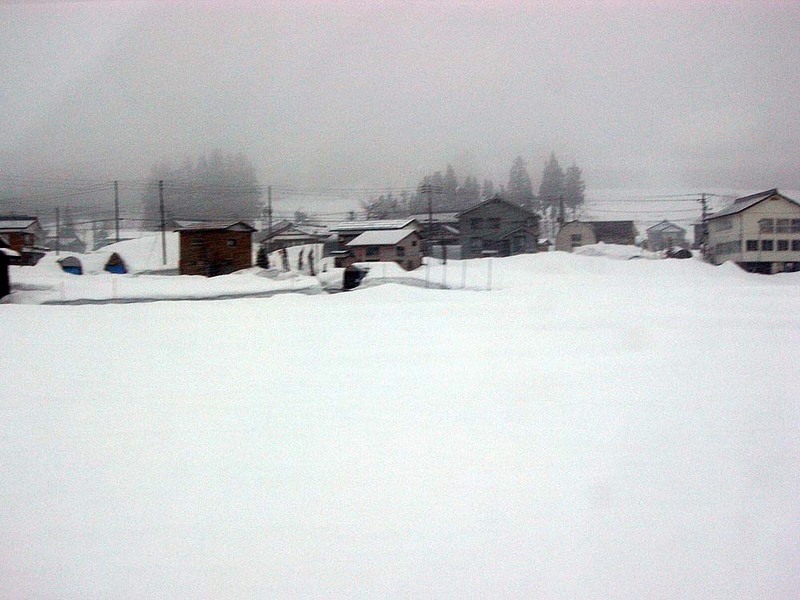 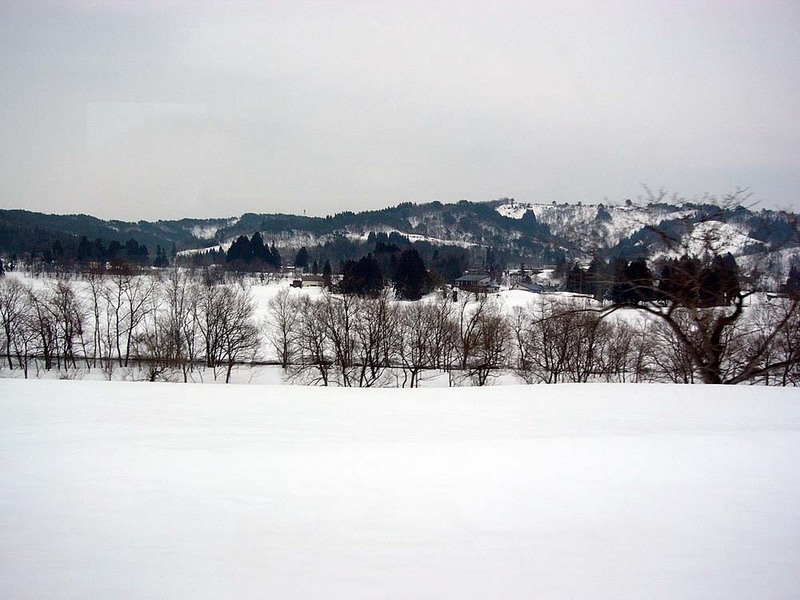 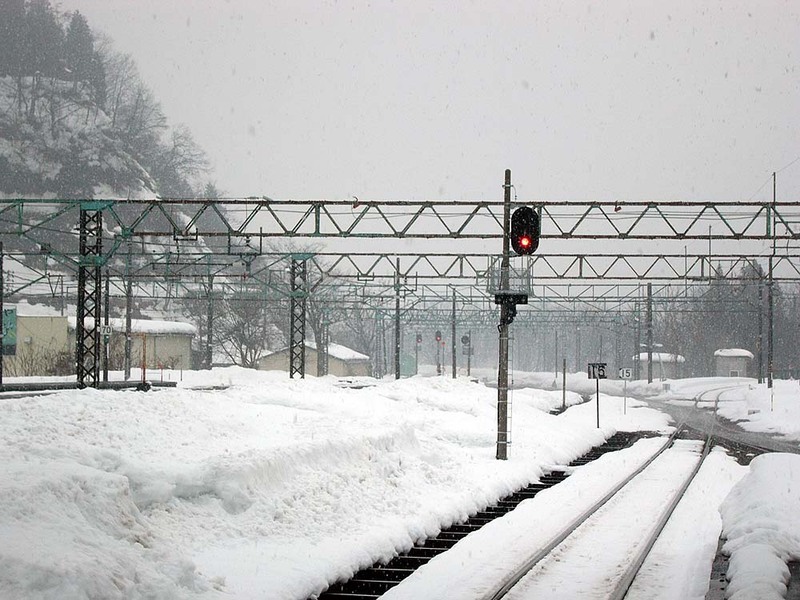 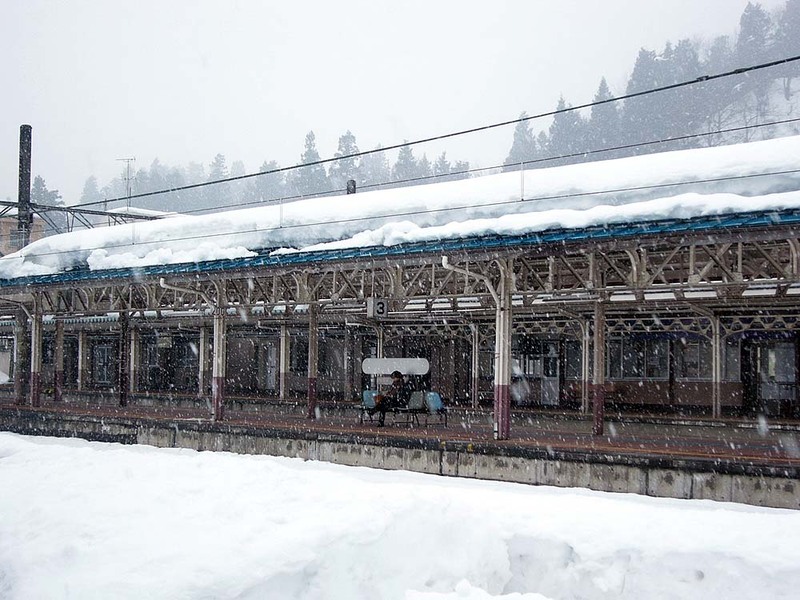 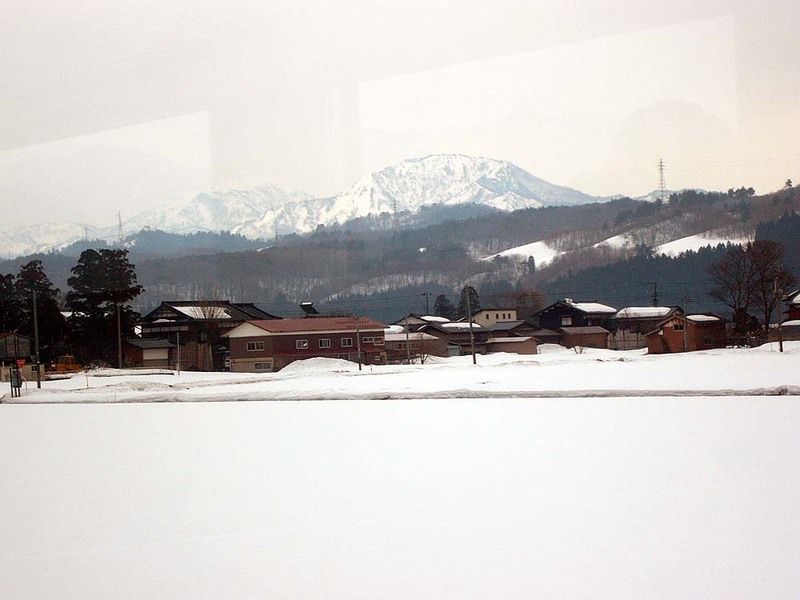 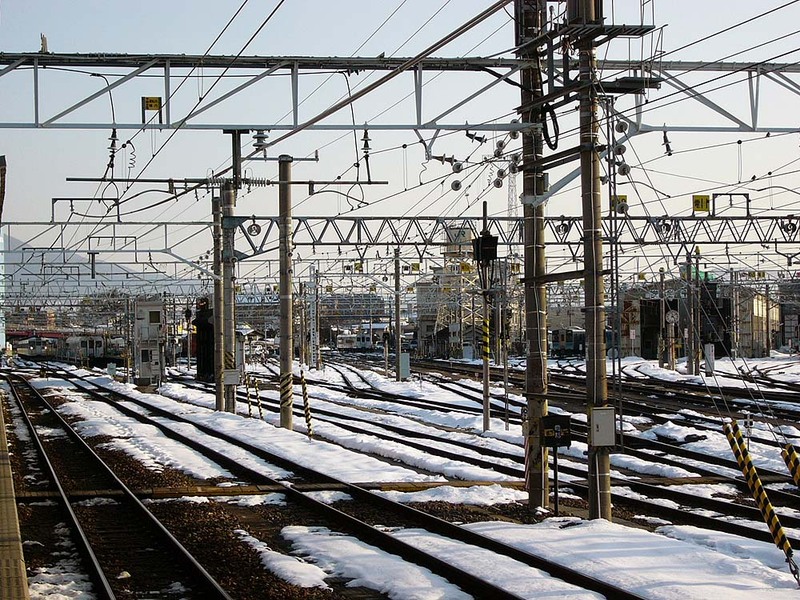 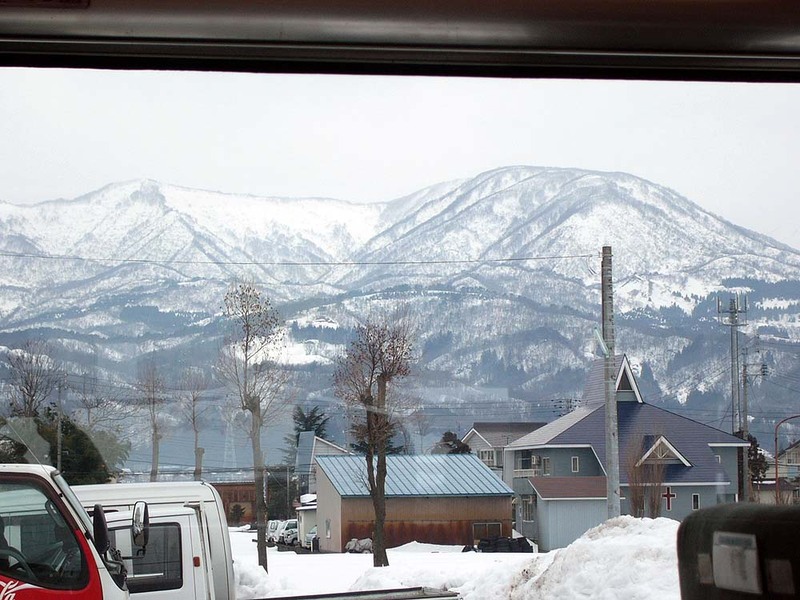 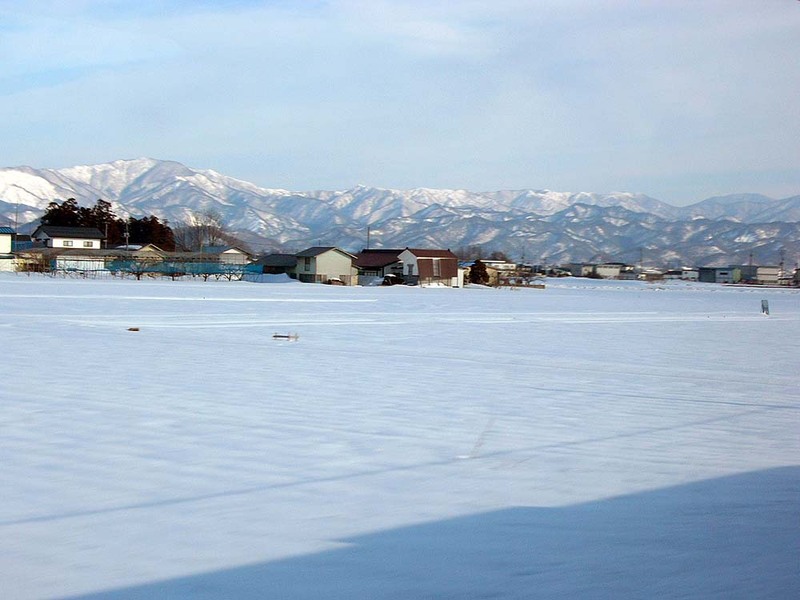 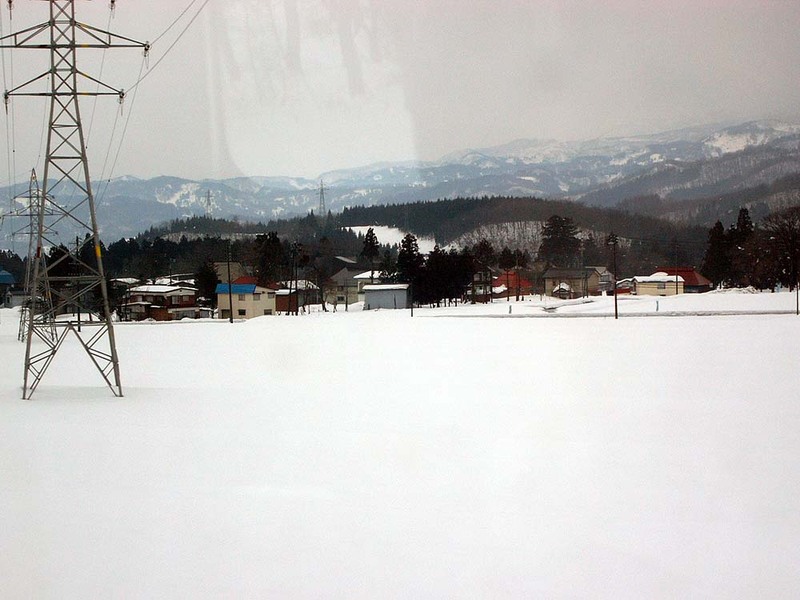 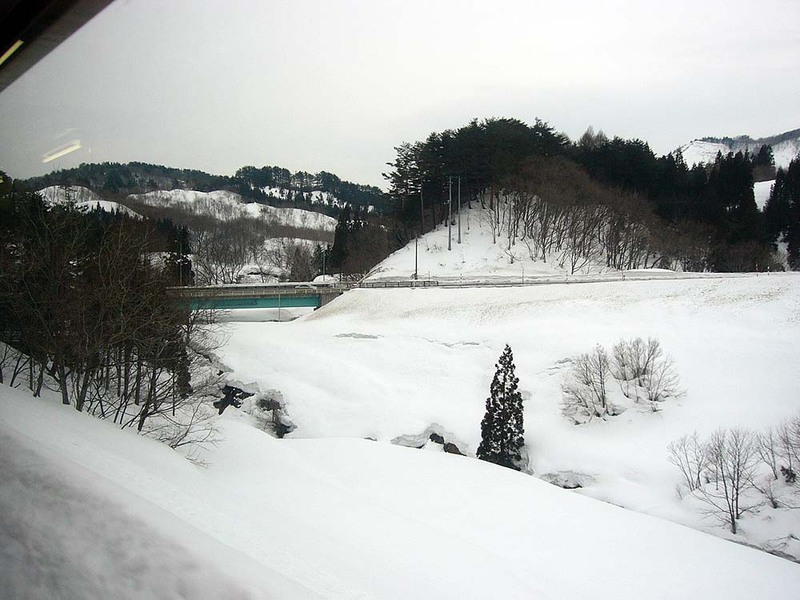 I went to Yonezawa from Sakamachi by train through mountainous areas where it had heavy snow in winter. 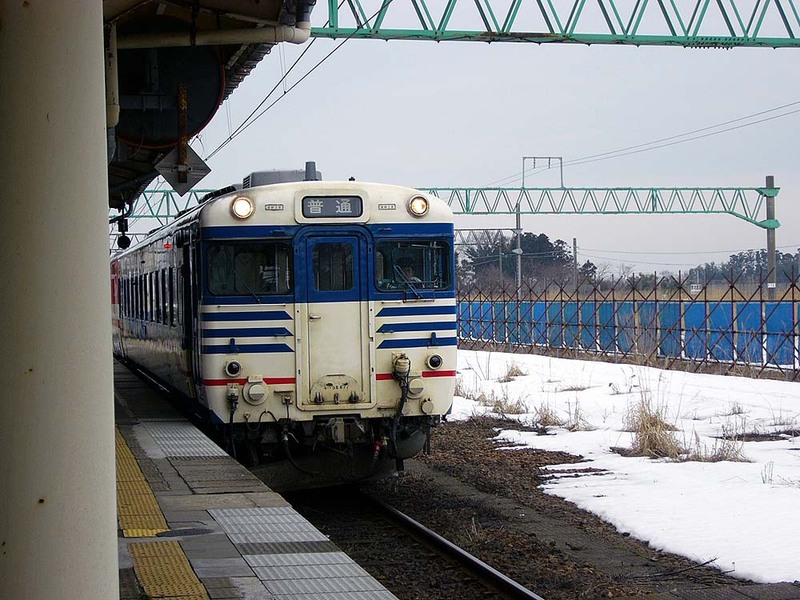 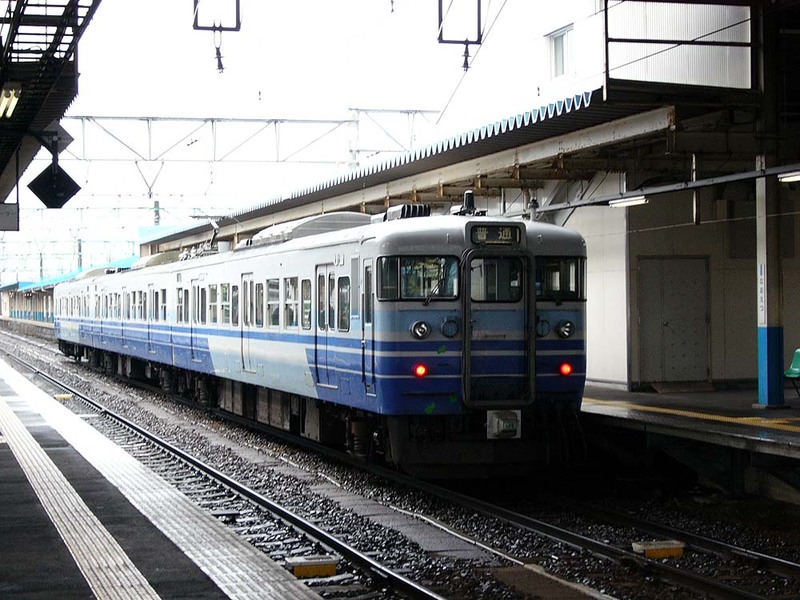 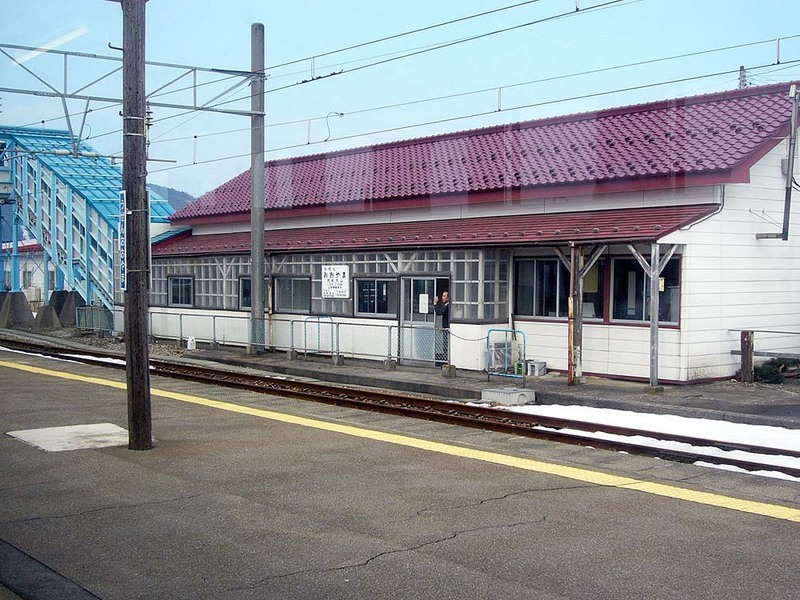 I took Shinetsu-Line train from Nagano Station, headed to Naoetsu Station that was on the Sea of Japan side. 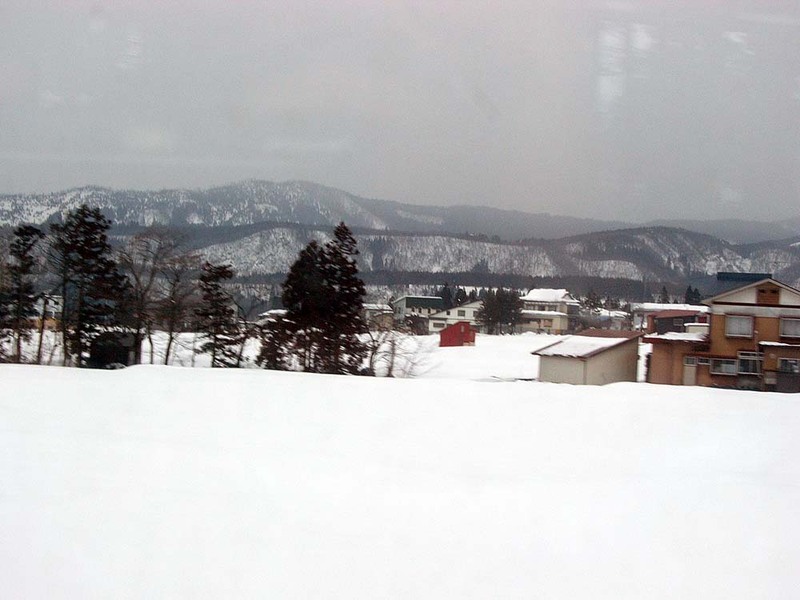 I left Naoetsu Station for Echigo-Yuzawa by train. 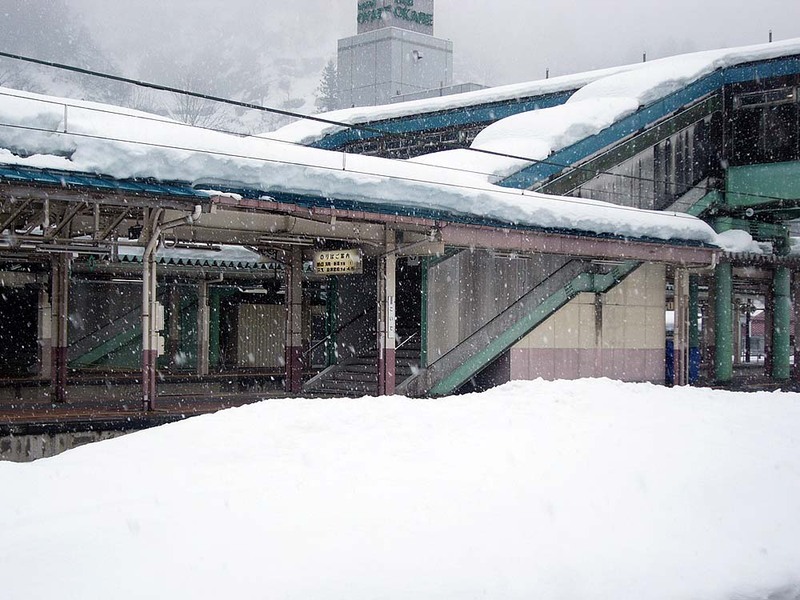 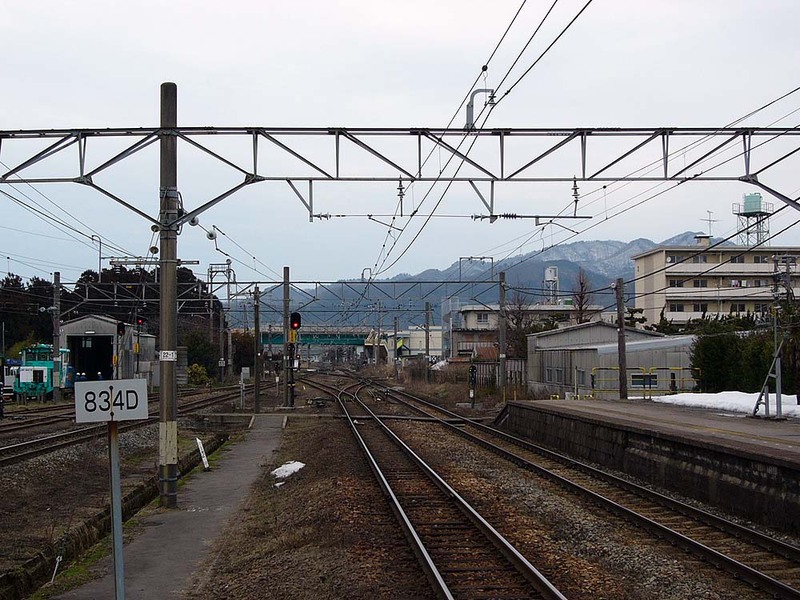 In front of Echigo-Yuzawa Station. 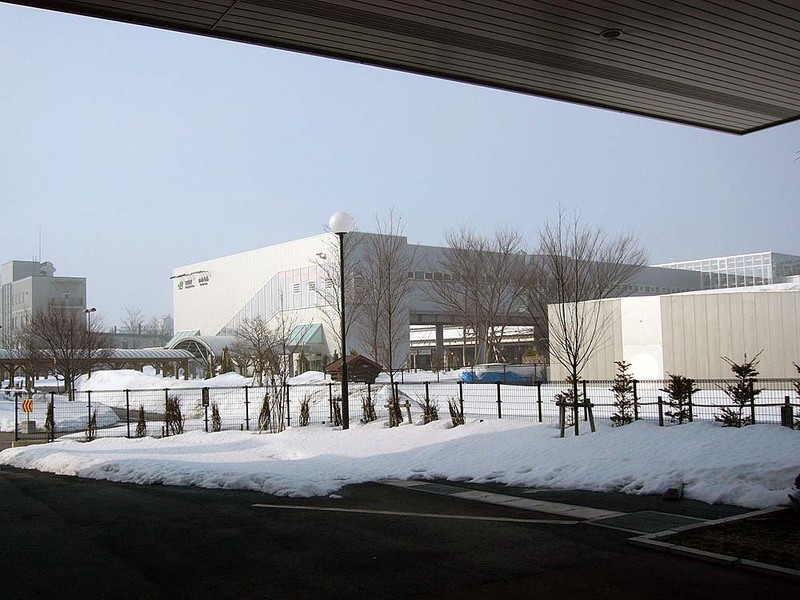 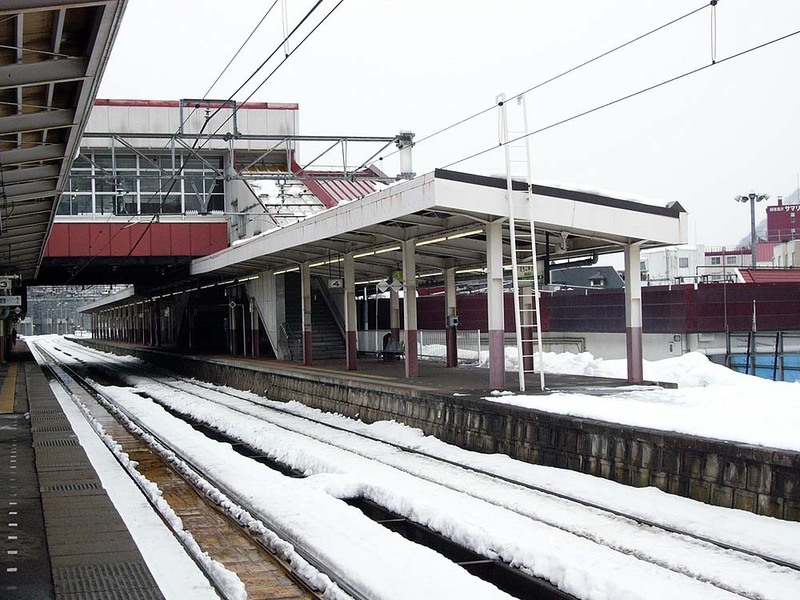 I took a train for Nagaoka Station, and got off at Koide Station where heavy snow was falling. 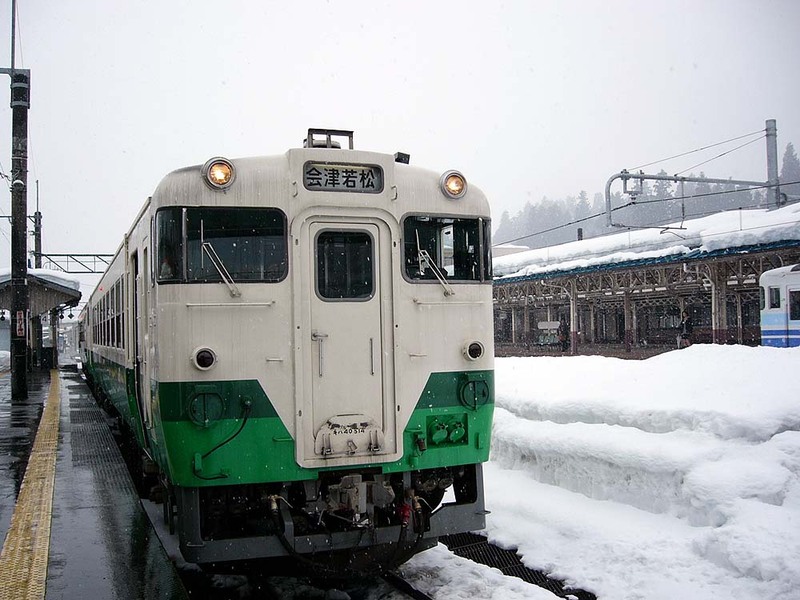 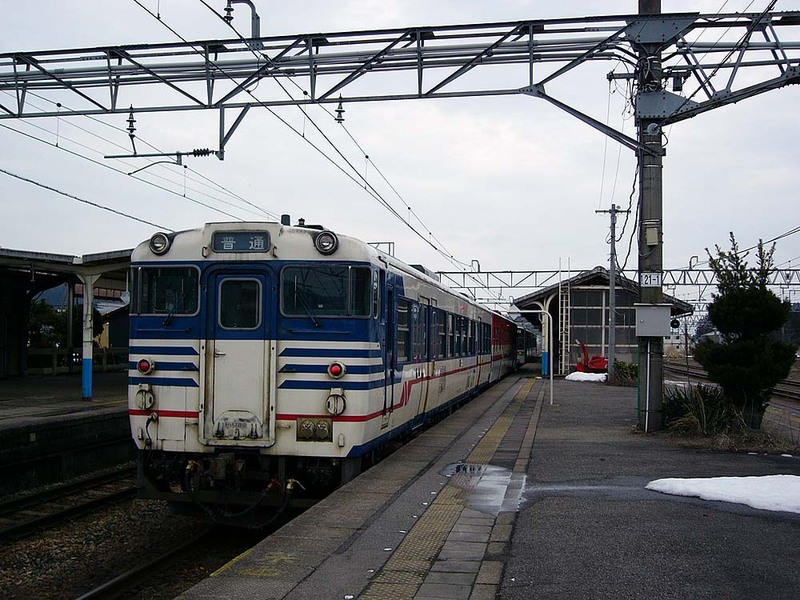 I changed the train to the one bound for Aizu-Wakamatsu via Tadami.